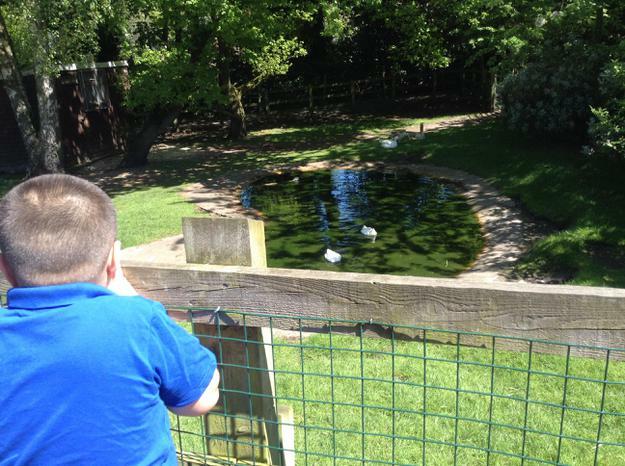 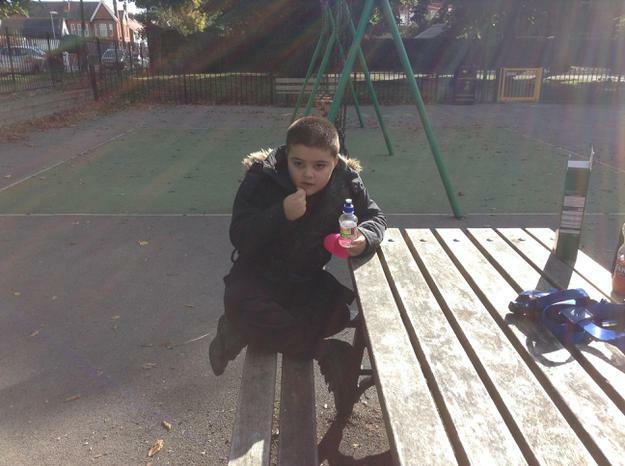 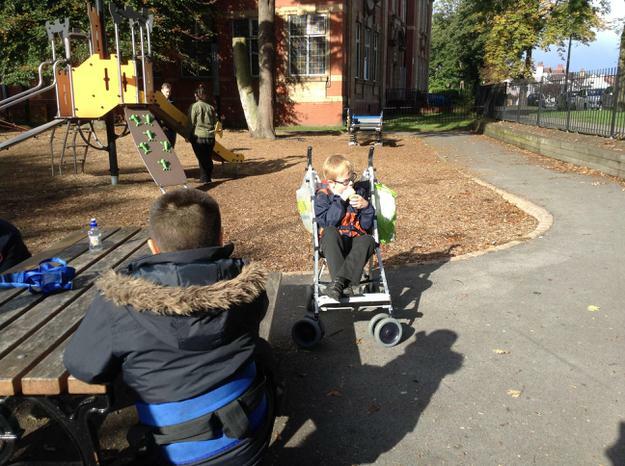 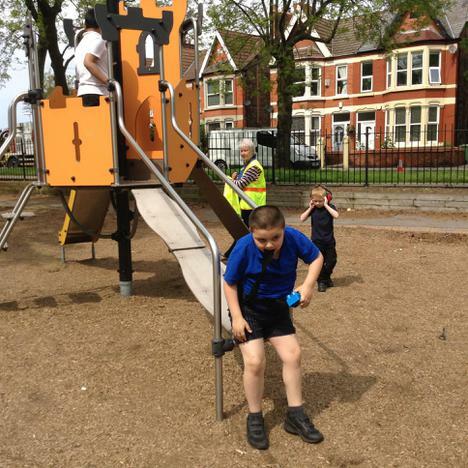 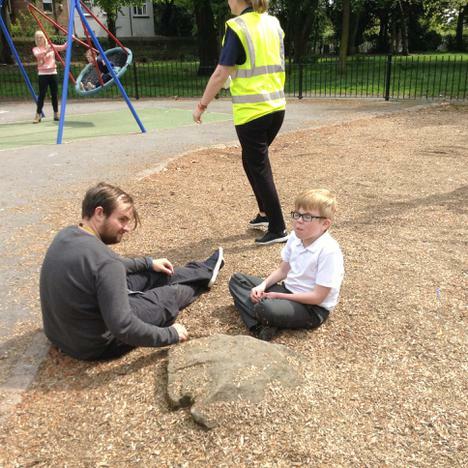 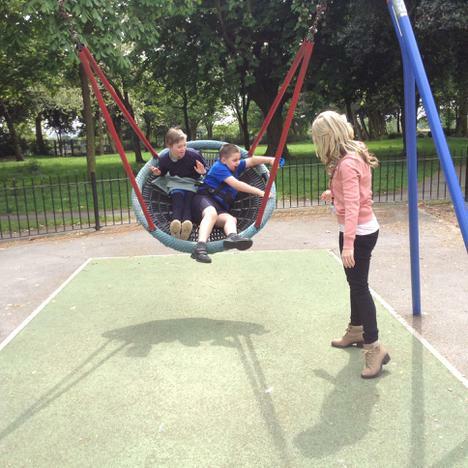 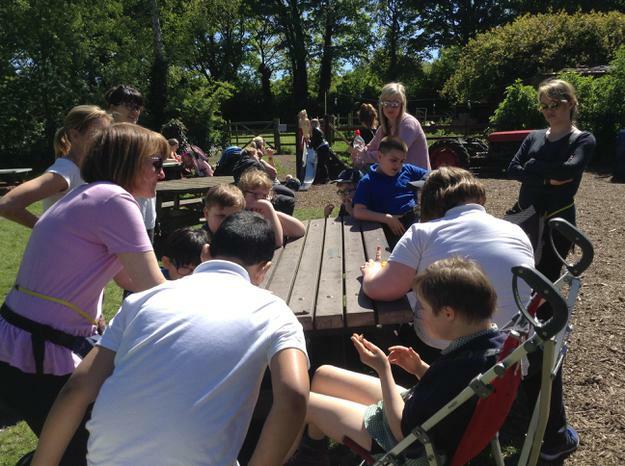 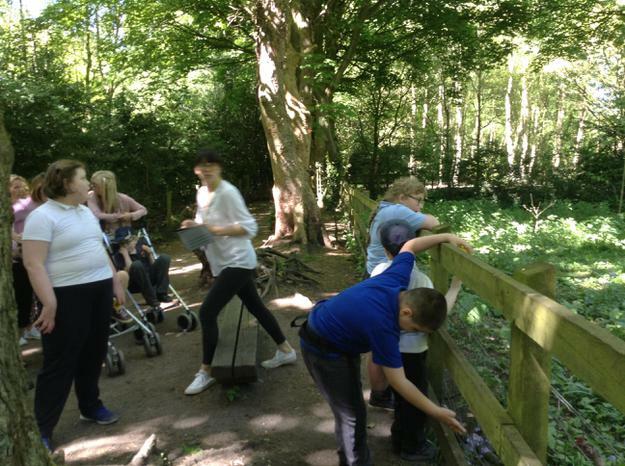 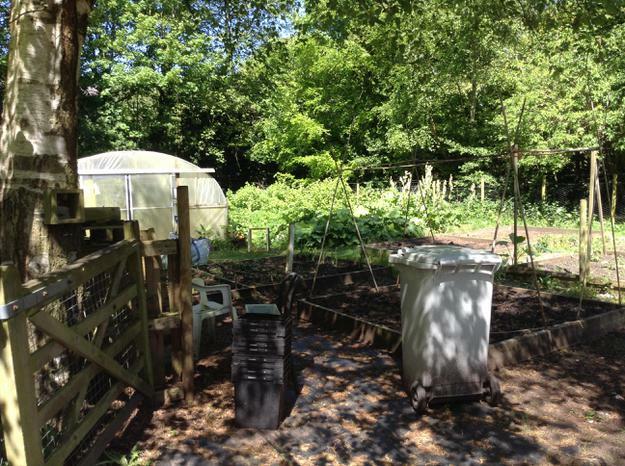 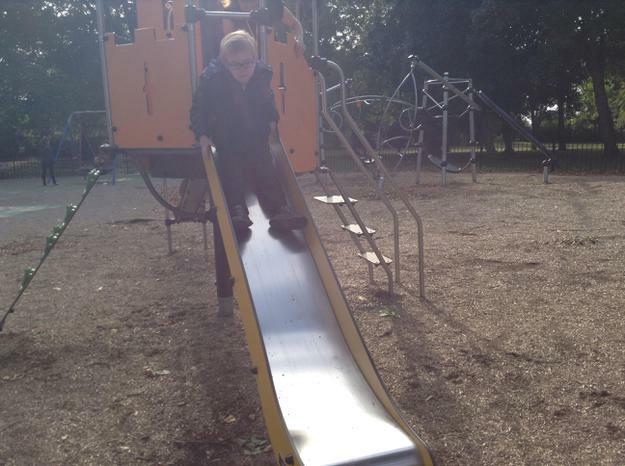 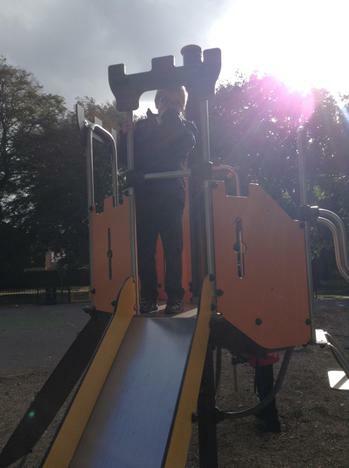 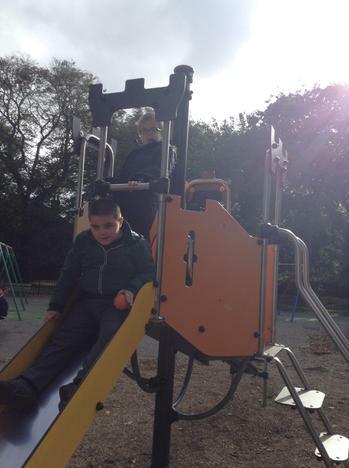 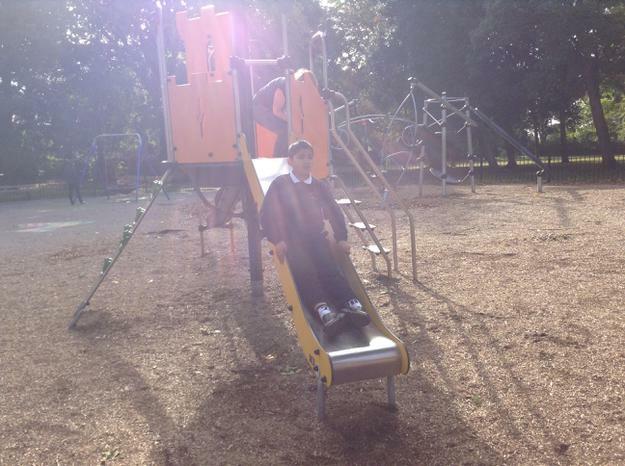 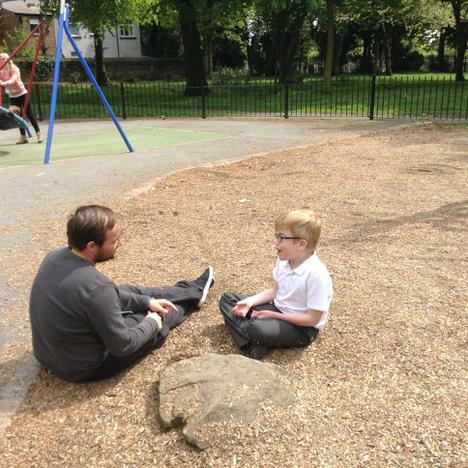 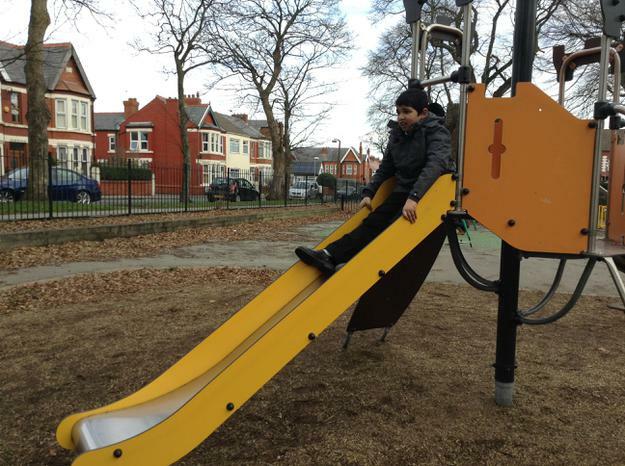 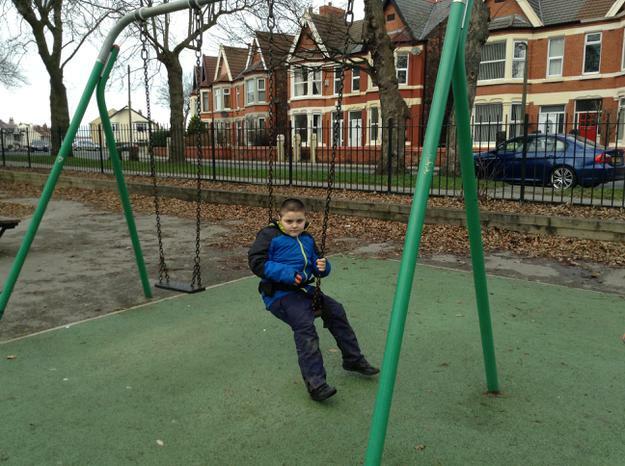 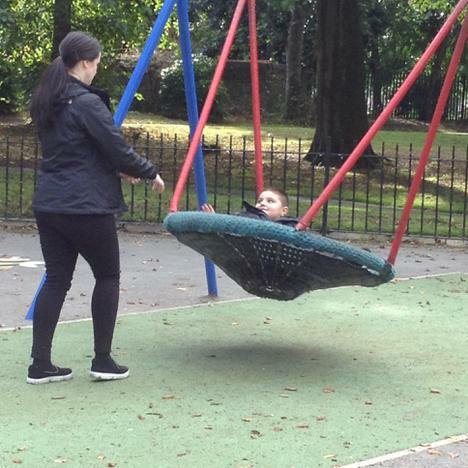 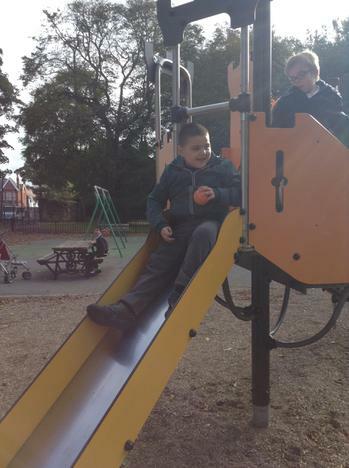 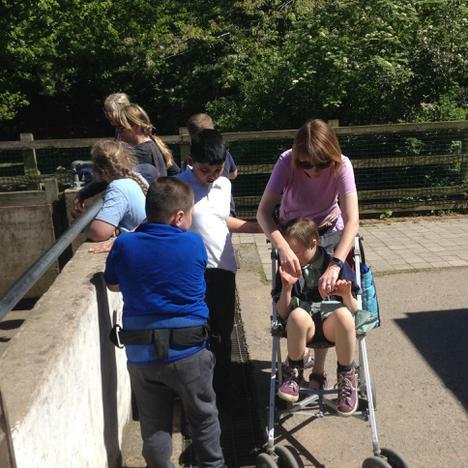 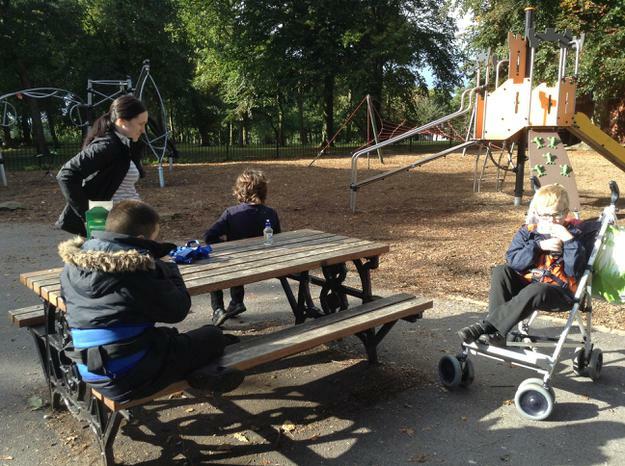 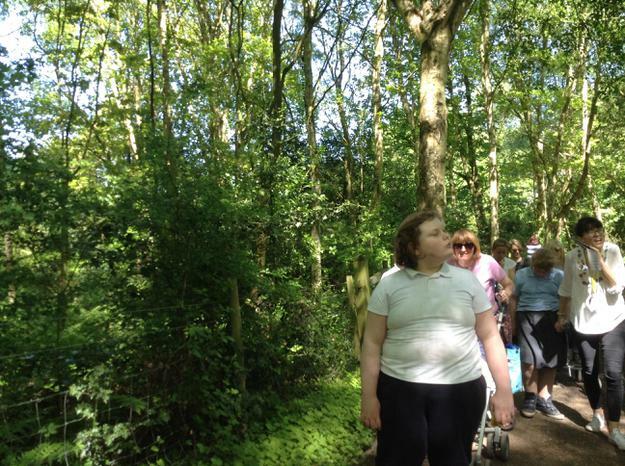 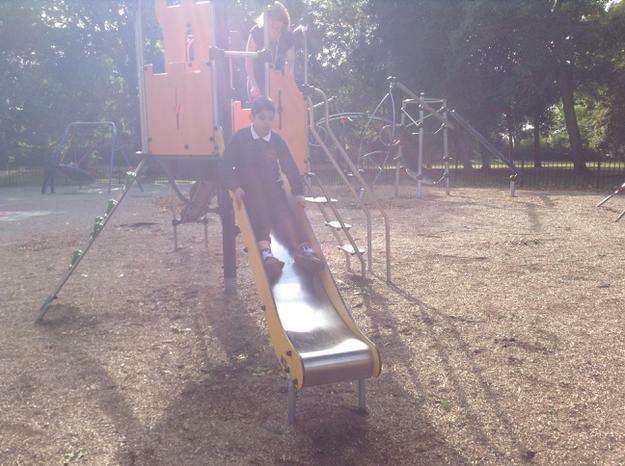 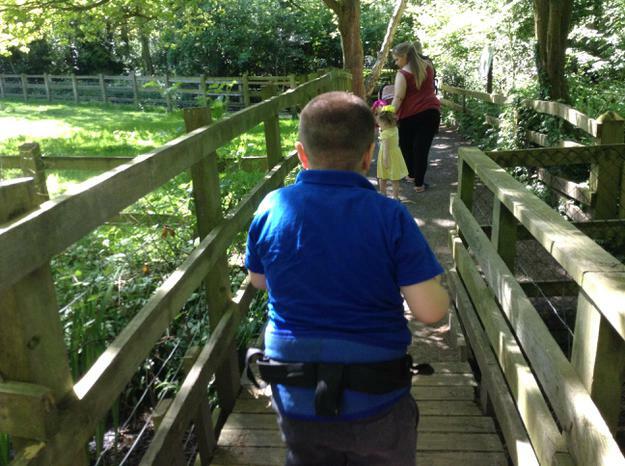 We have been lucky enough to have had some fantastic sunny weather lately and it has been wonderful to get the children out and about in the community. 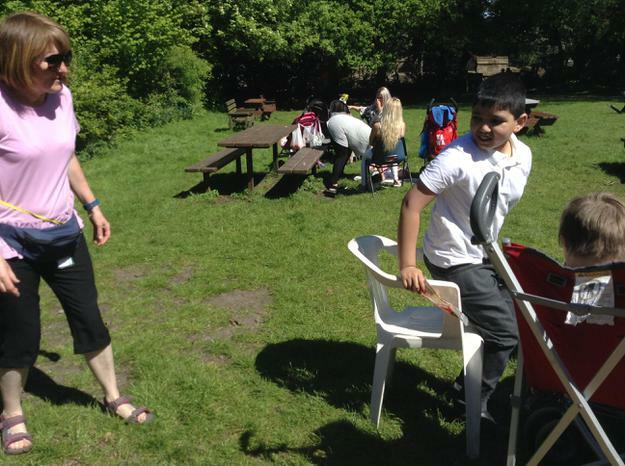 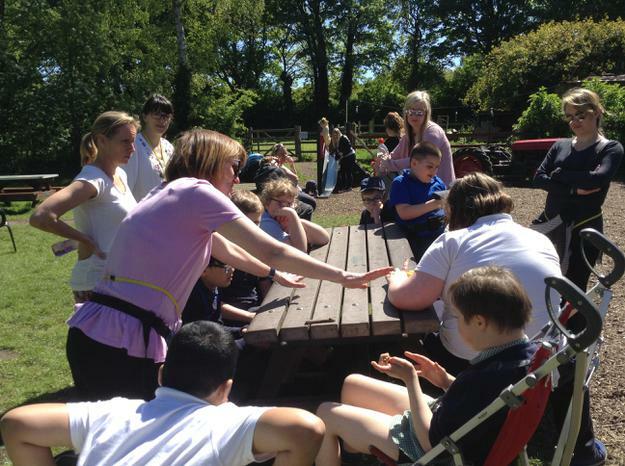 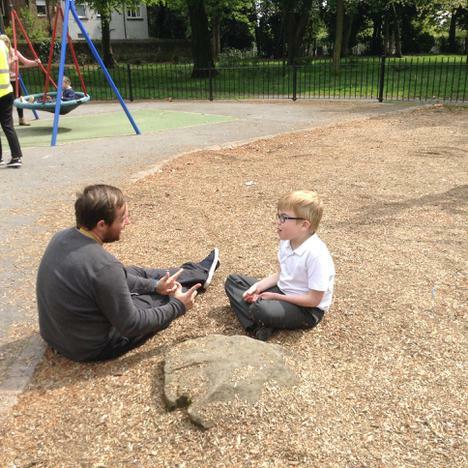 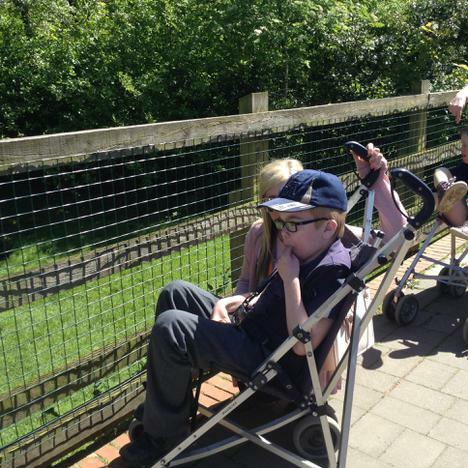 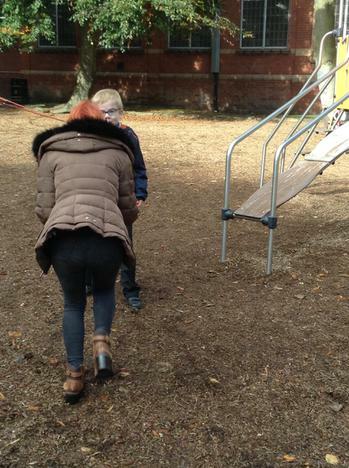 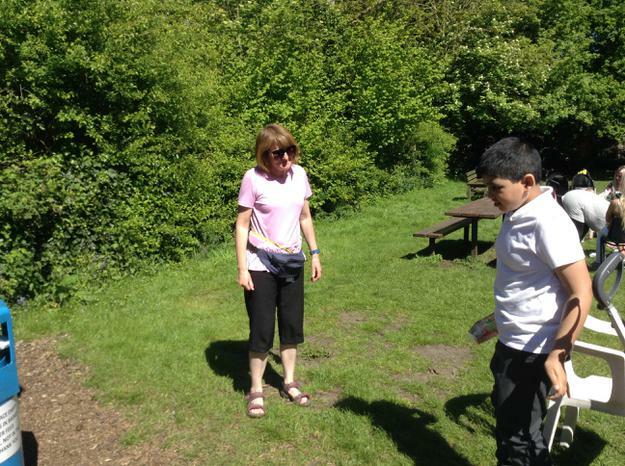 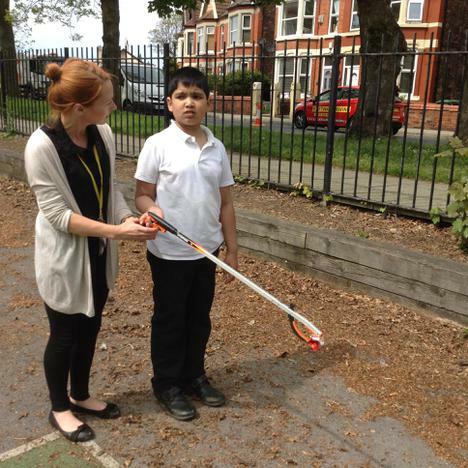 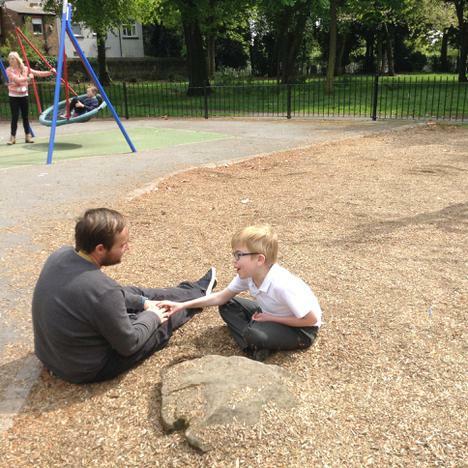 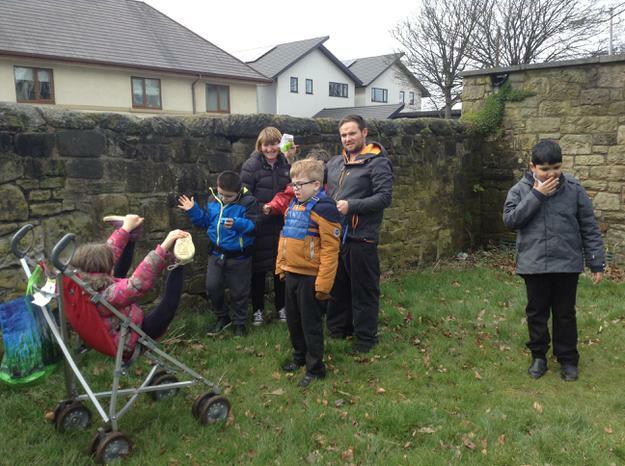 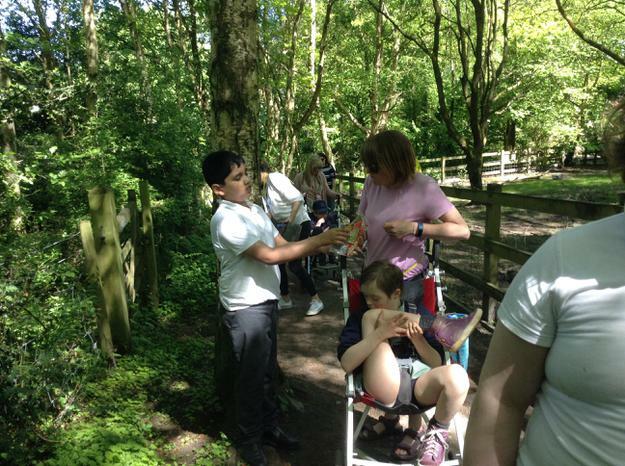 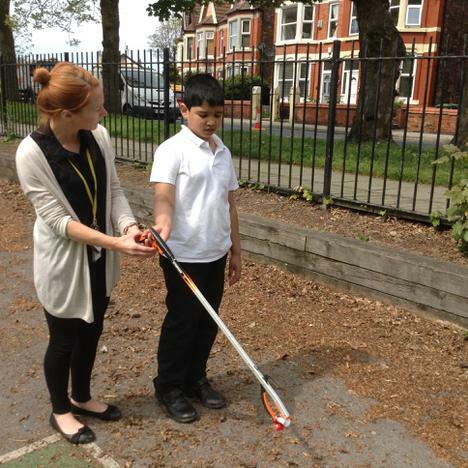 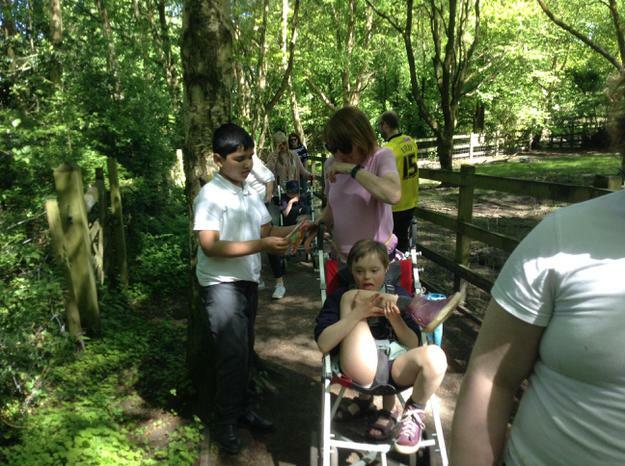 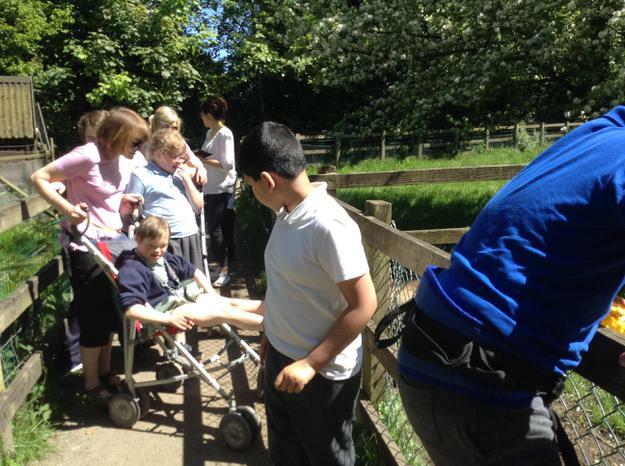 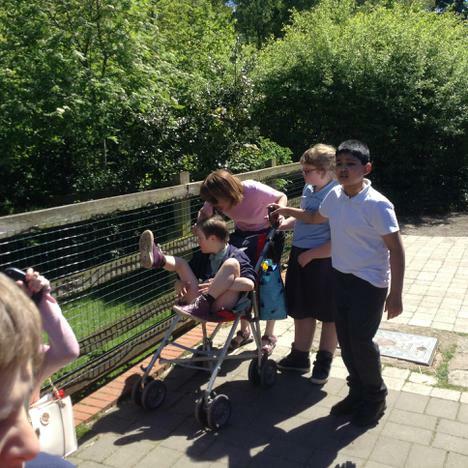 During our outdoor learning week in May we spent more time out of the class than in it! 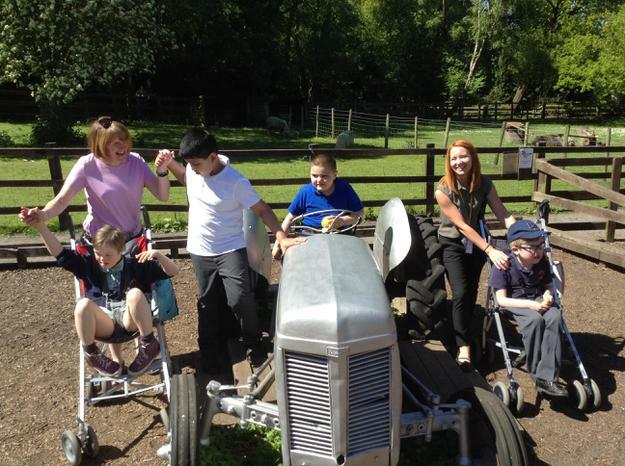 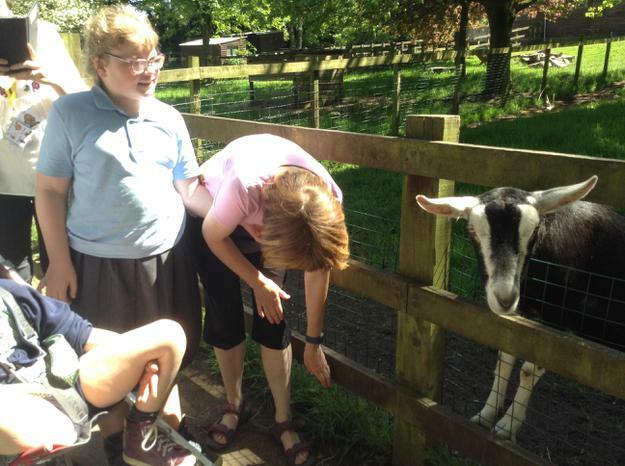 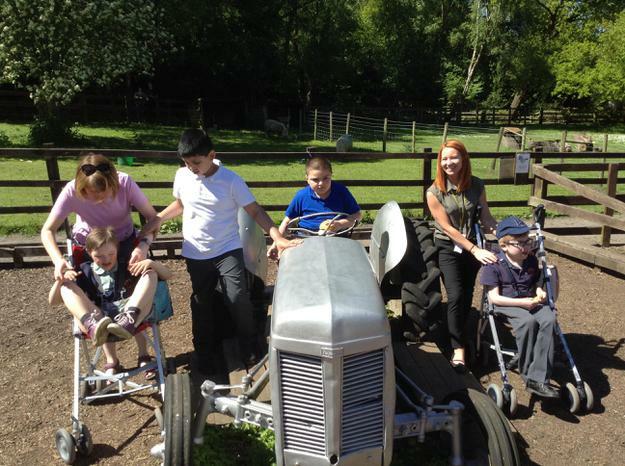 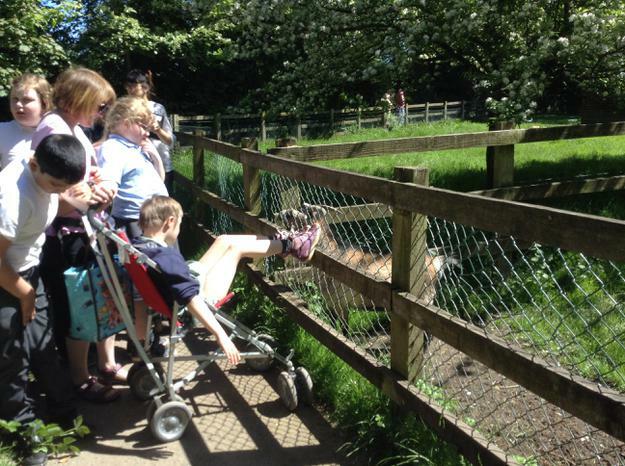 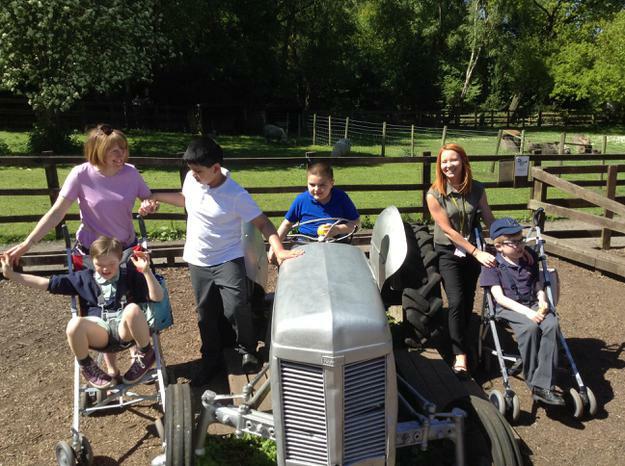 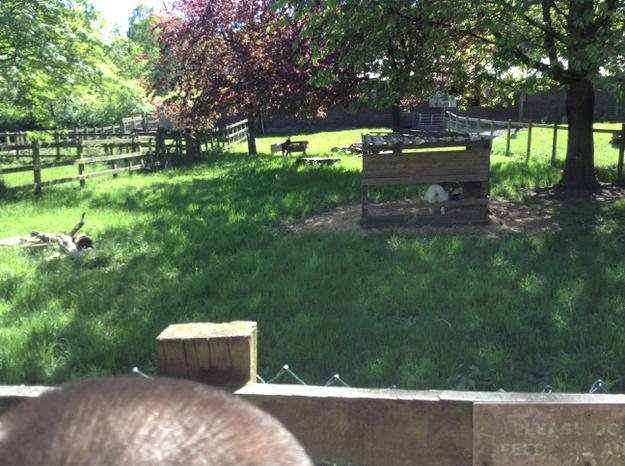 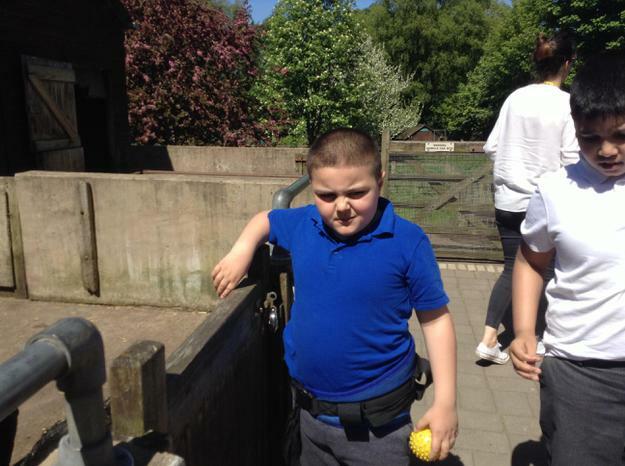 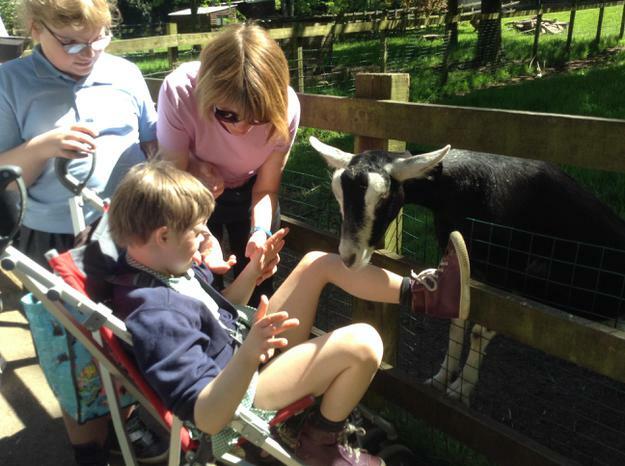 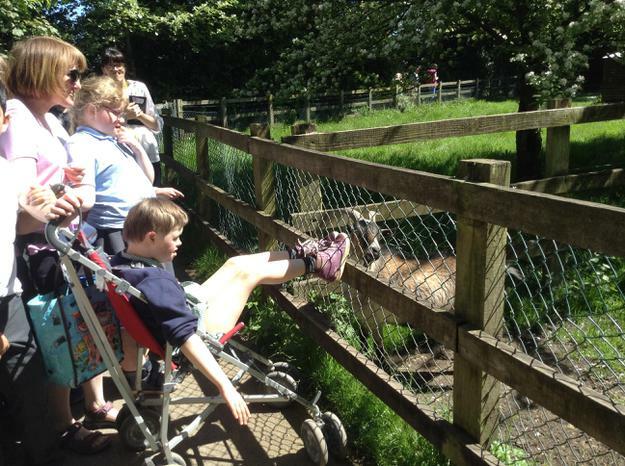 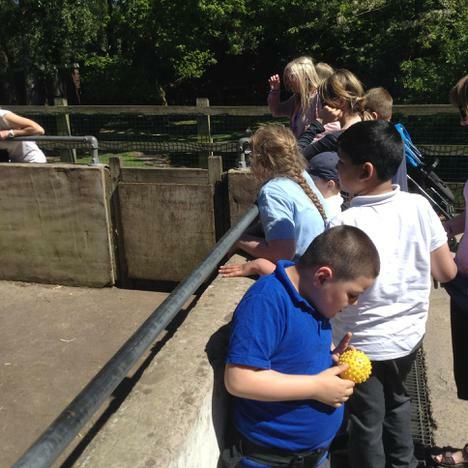 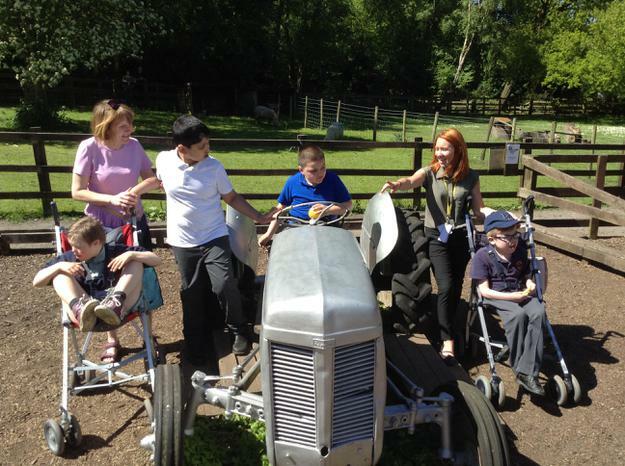 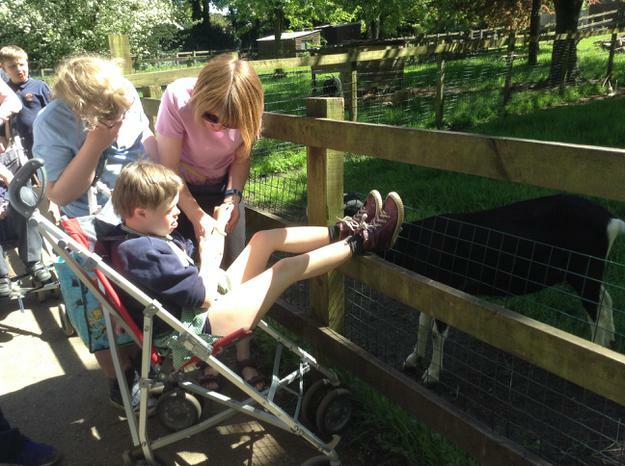 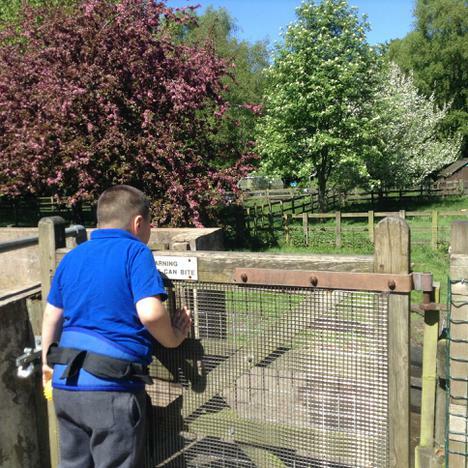 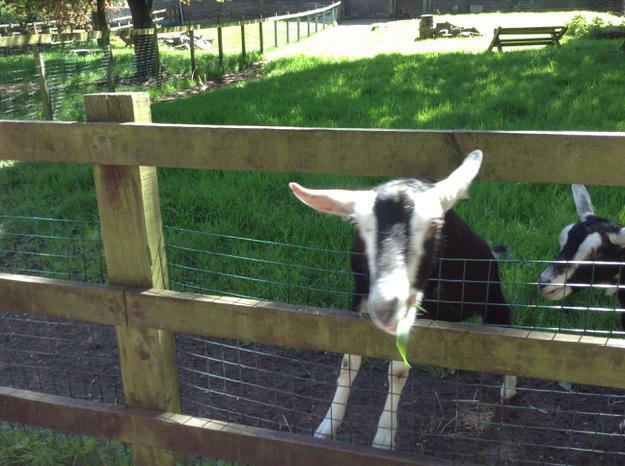 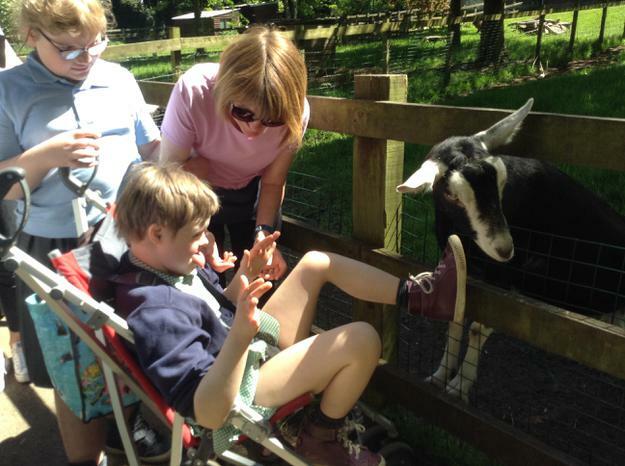 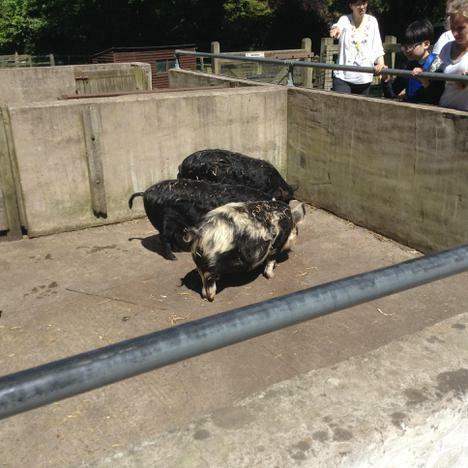 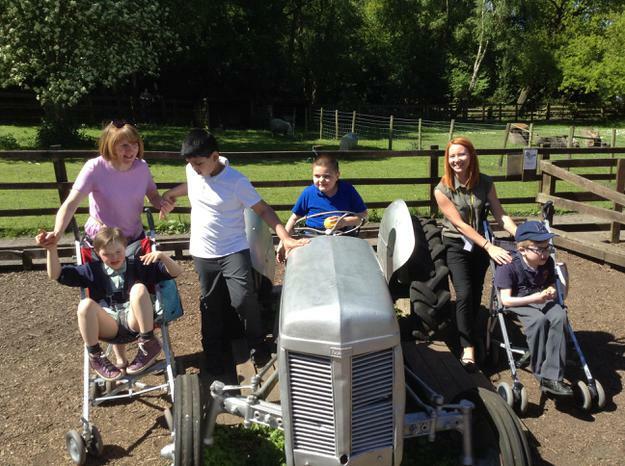 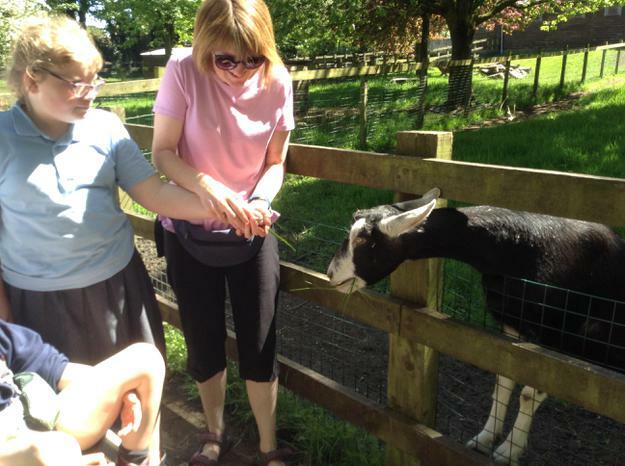 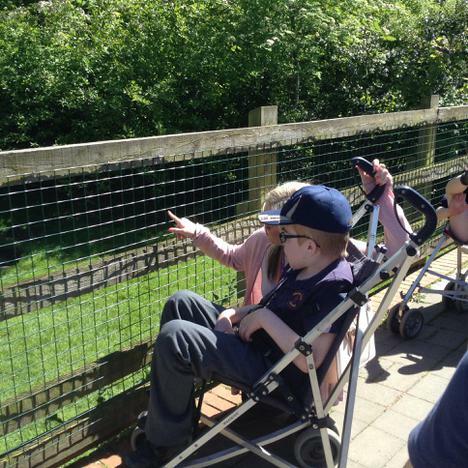 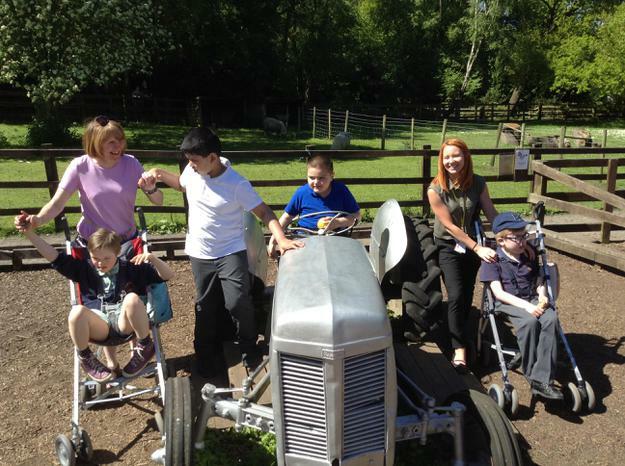 We had some lovely trips, we enjoyed going to Tam O Shanters Farm and met some of the animals we have been learning about in our topic book 'Over in the Meadow'. 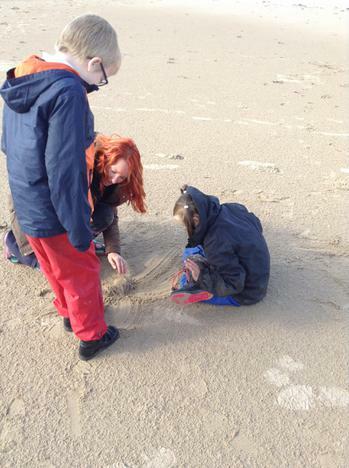 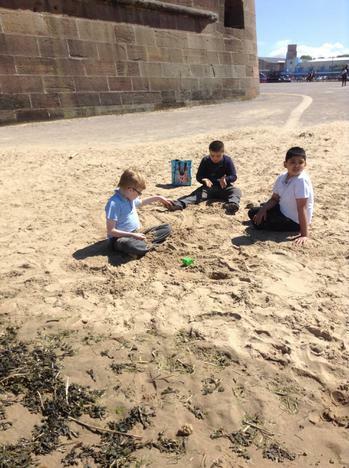 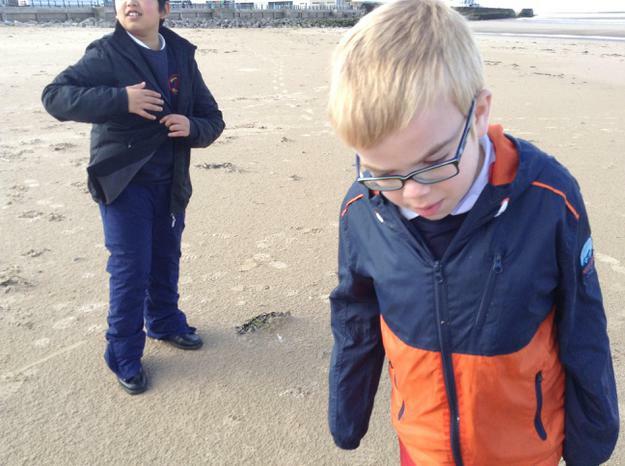 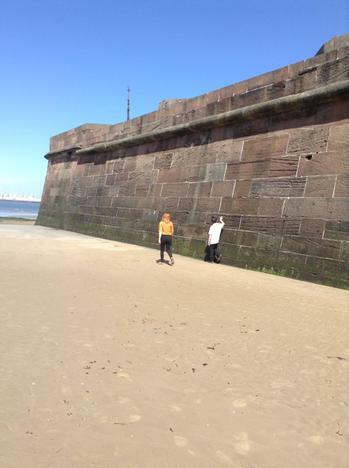 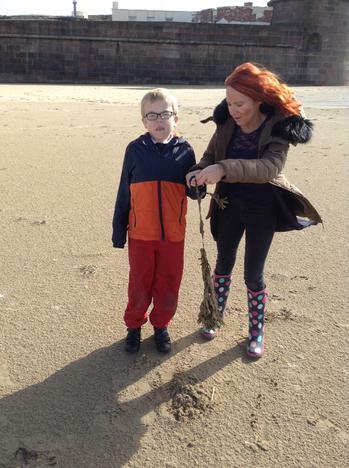 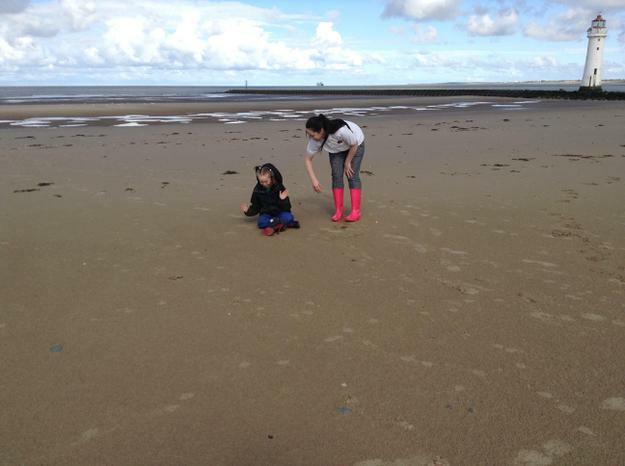 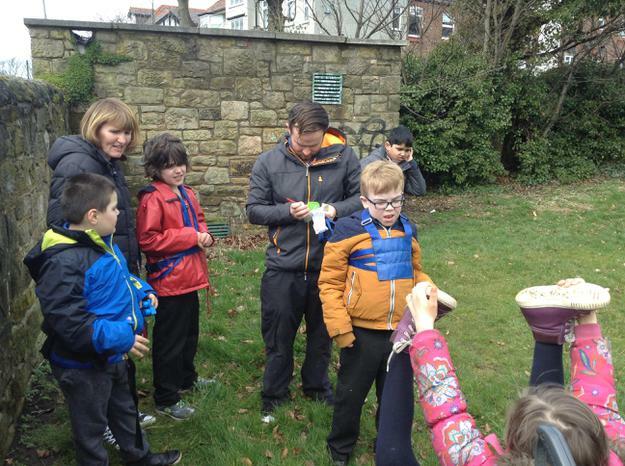 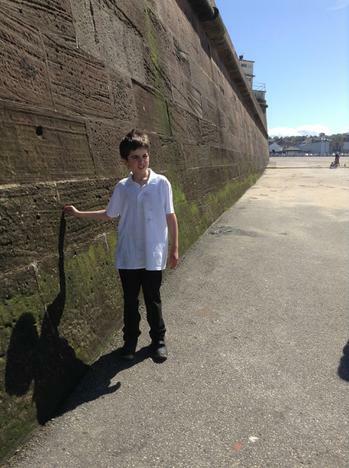 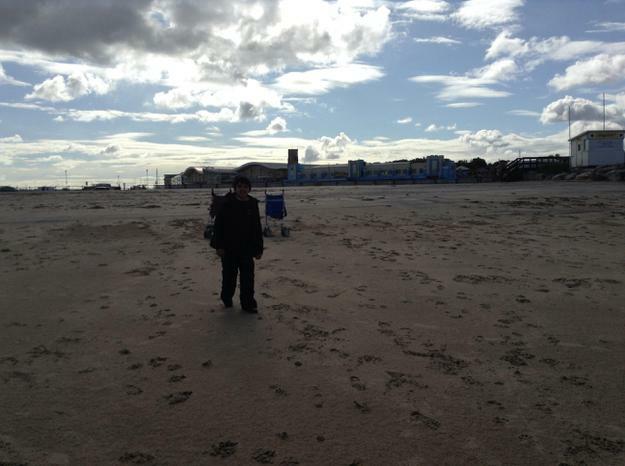 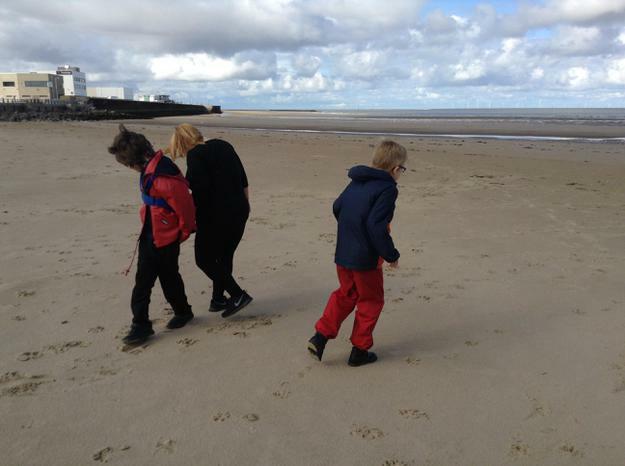 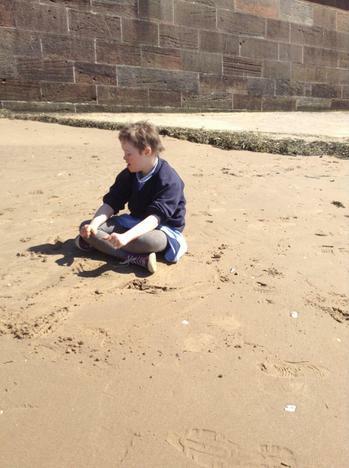 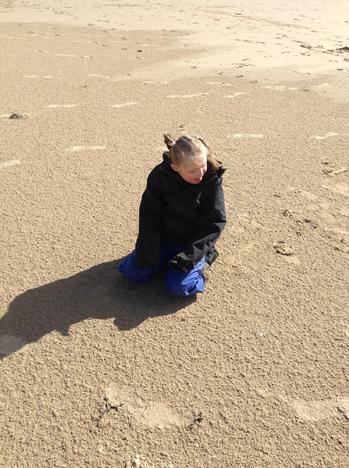 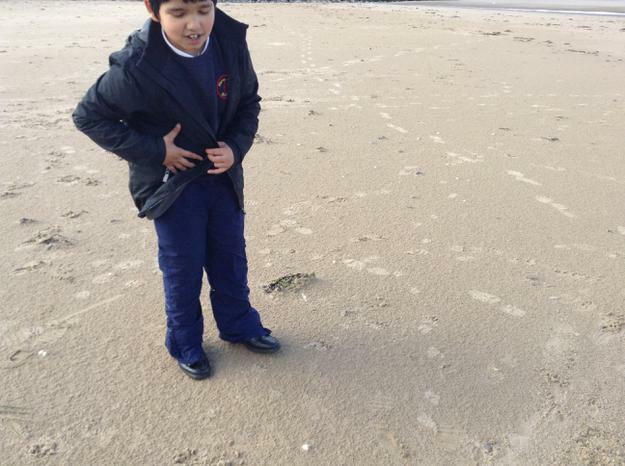 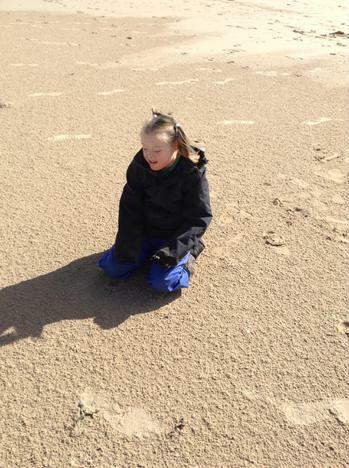 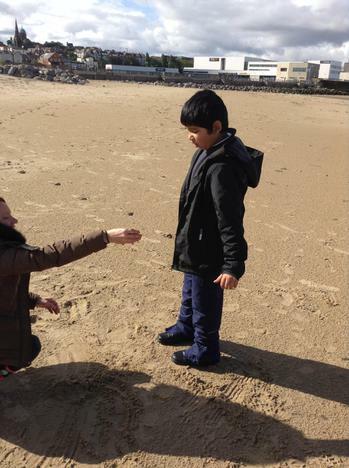 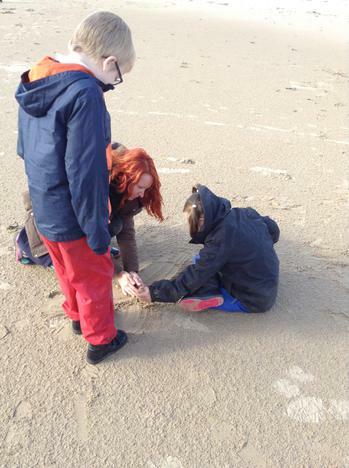 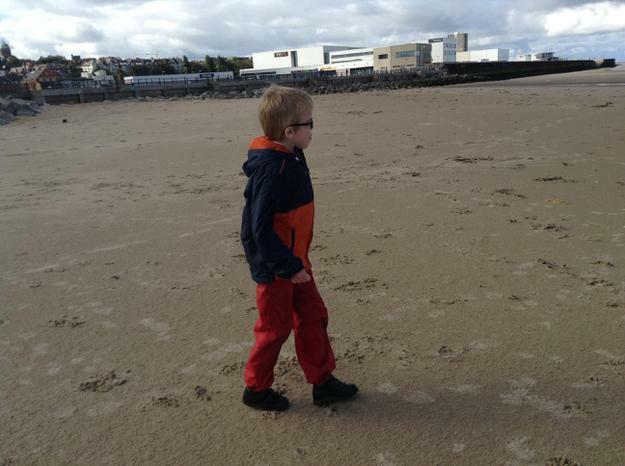 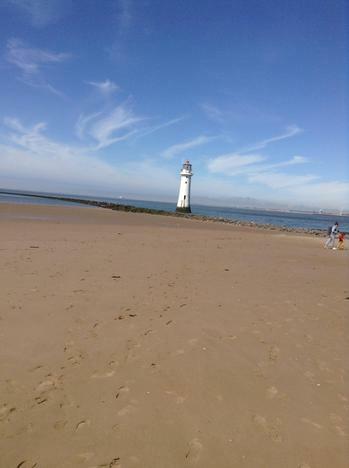 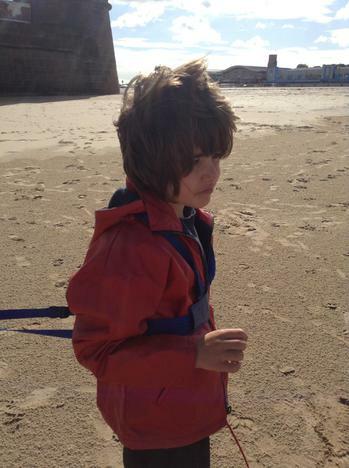 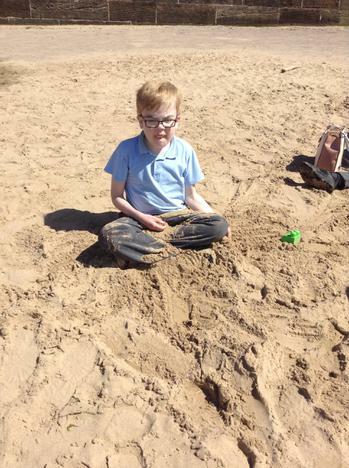 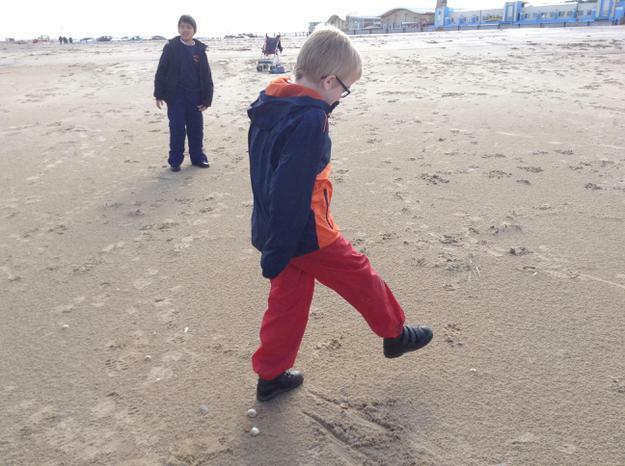 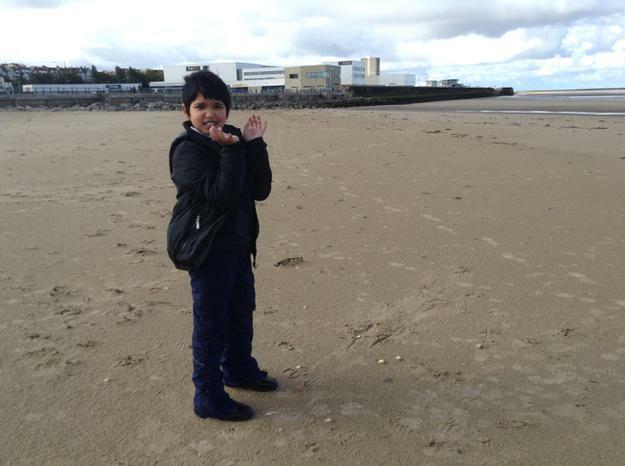 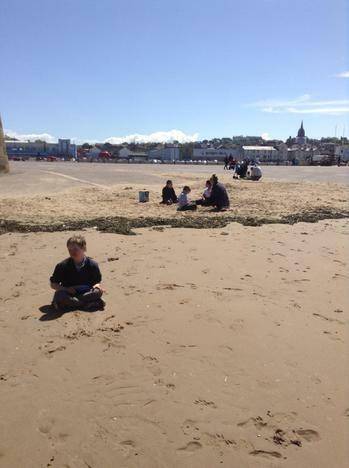 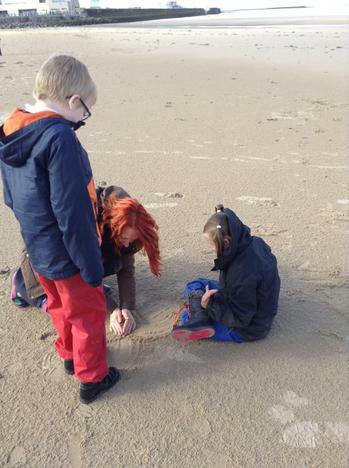 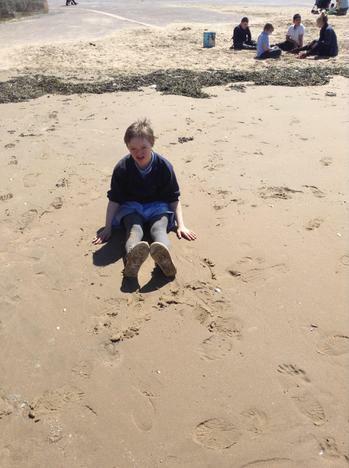 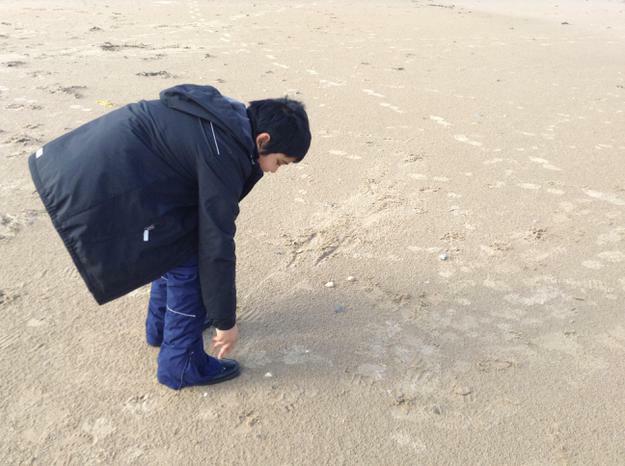 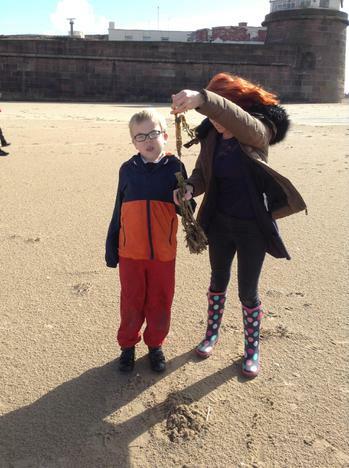 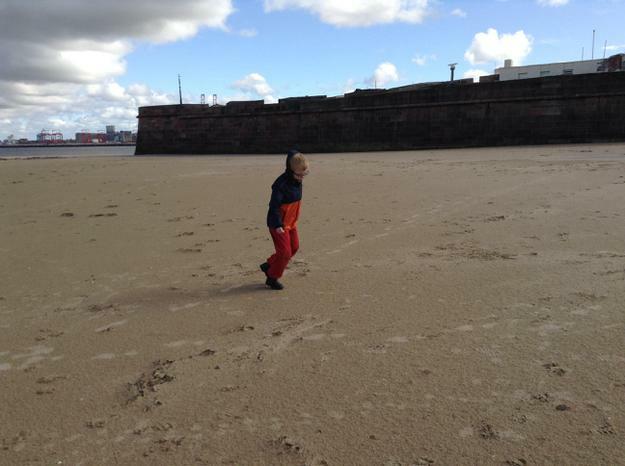 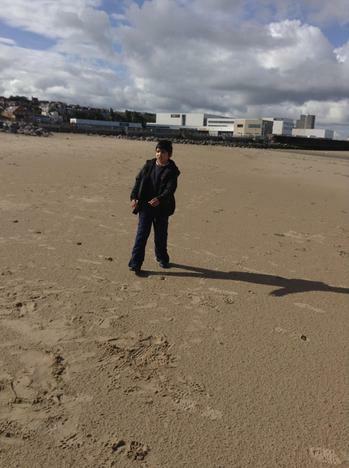 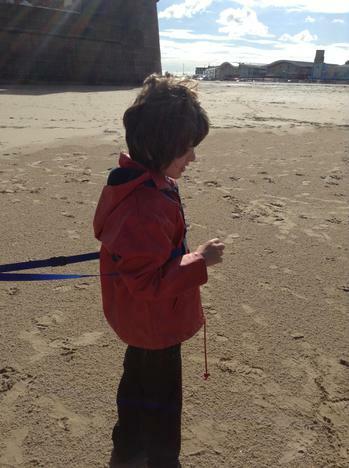 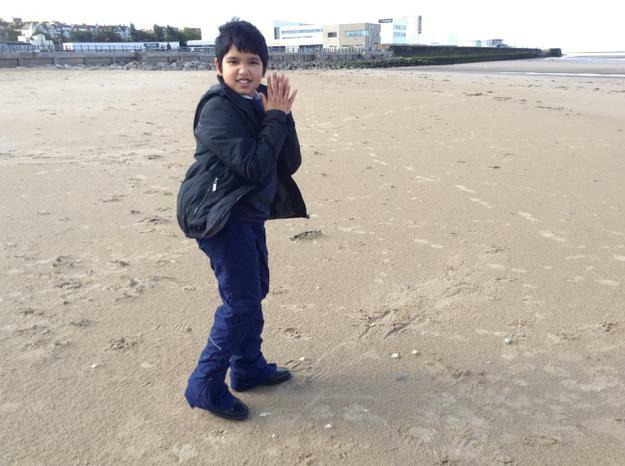 We also enjoyed a trip to the beach during our eco week to find out more about the seaside environment. 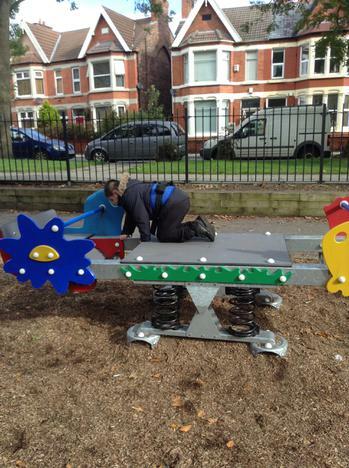 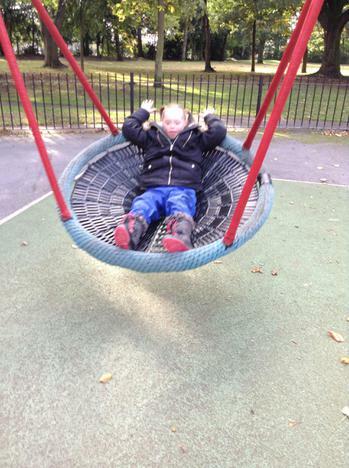 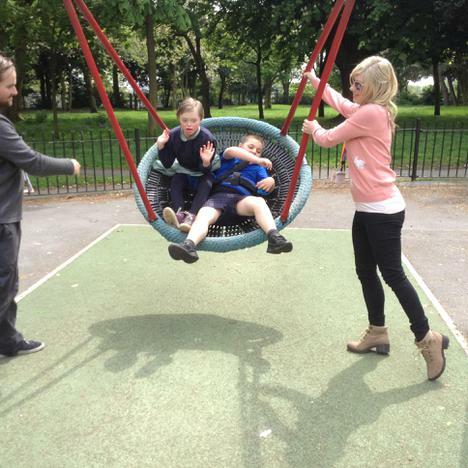 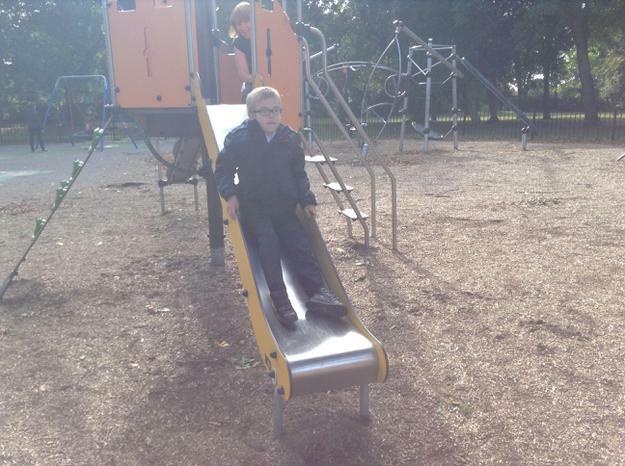 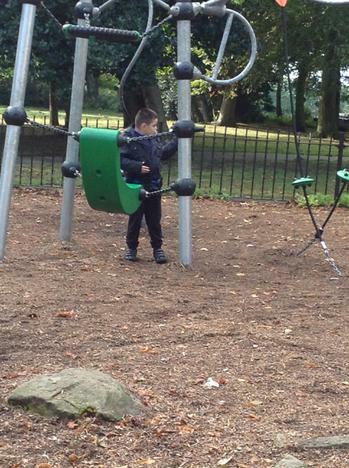 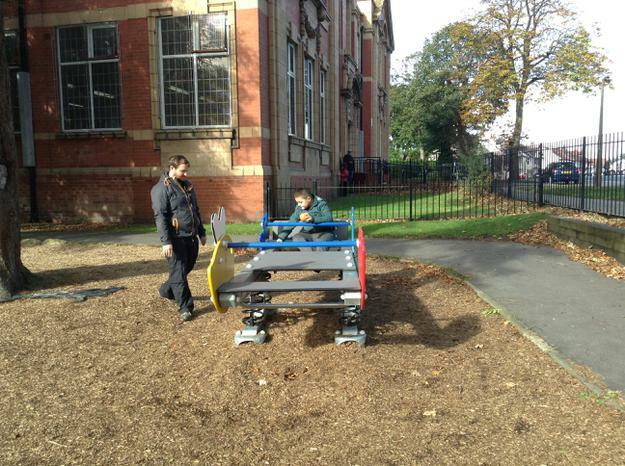 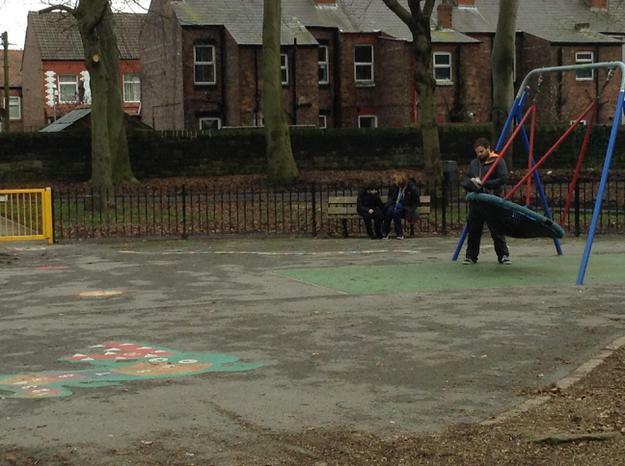 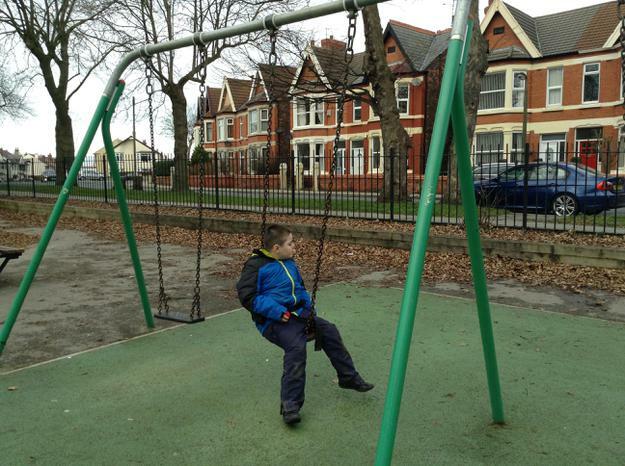 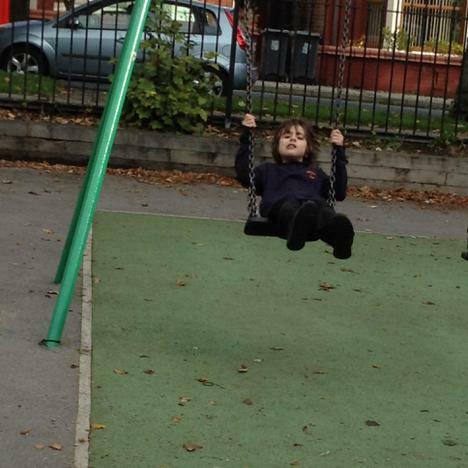 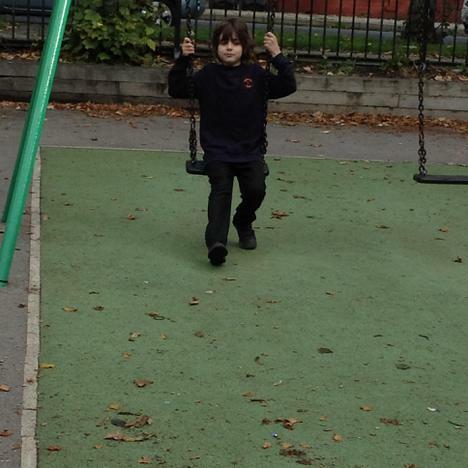 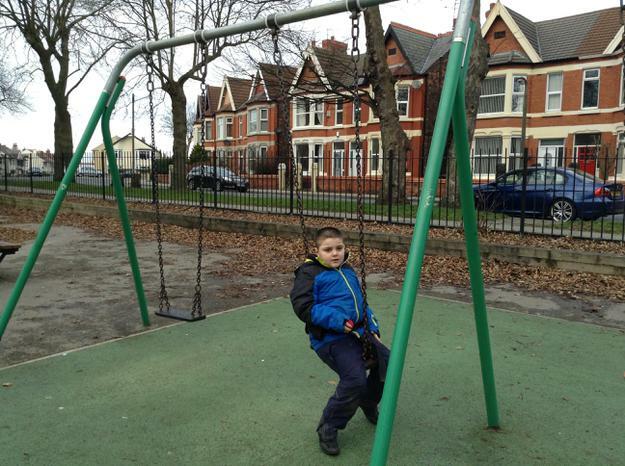 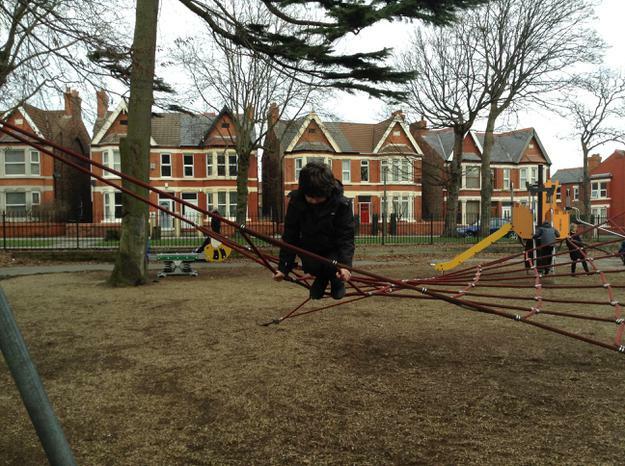 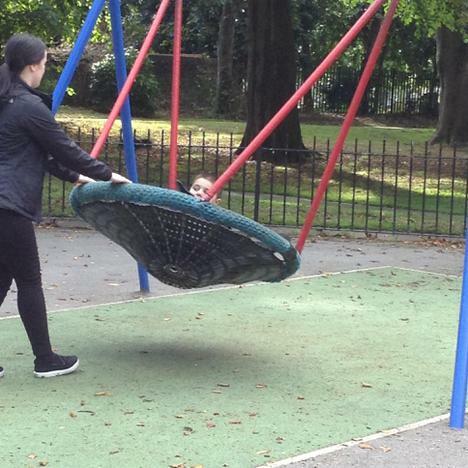 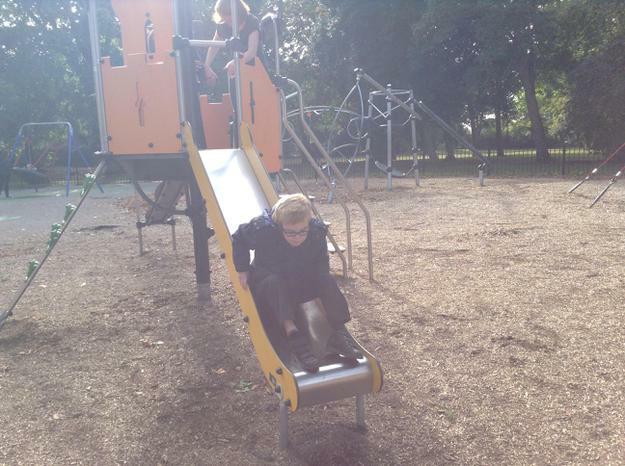 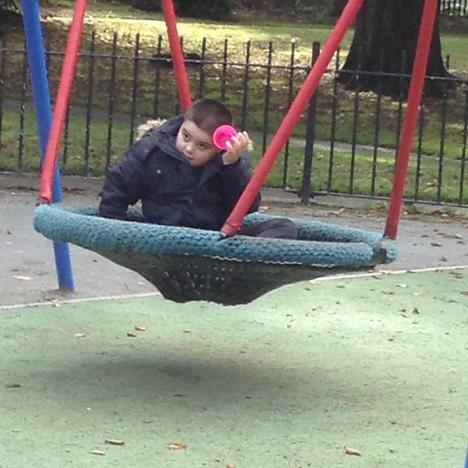 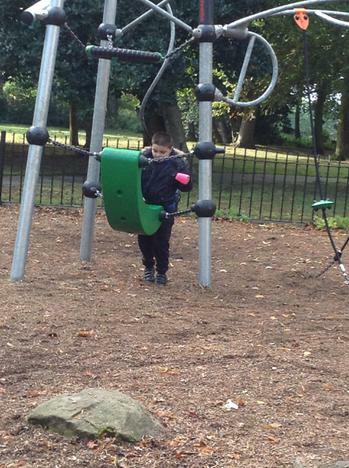 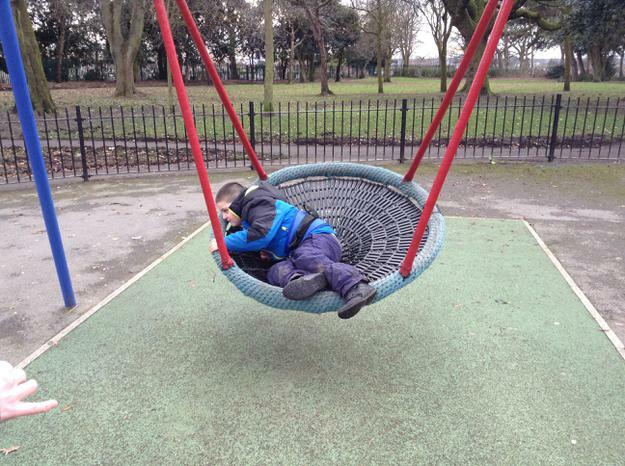 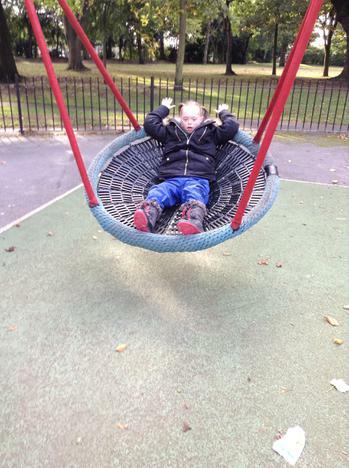 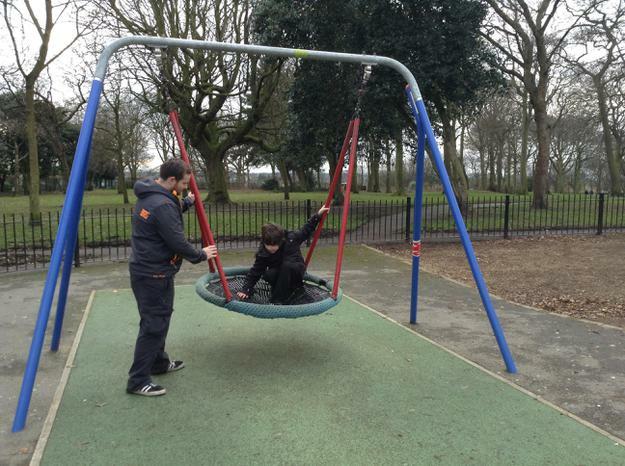 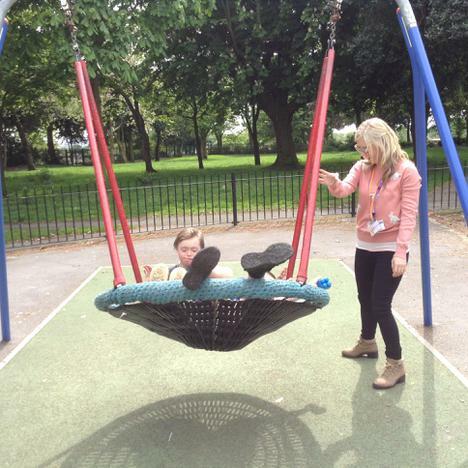 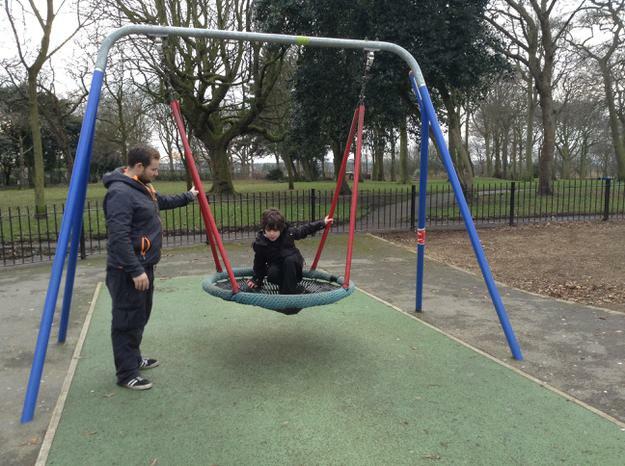 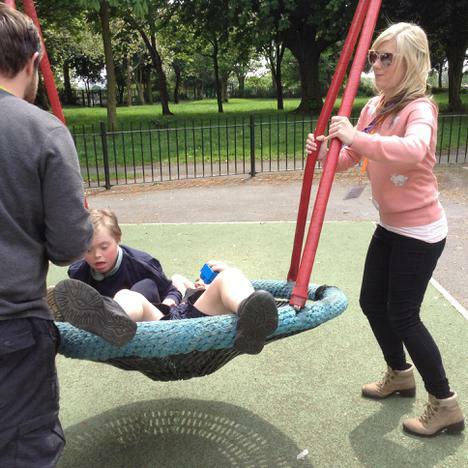 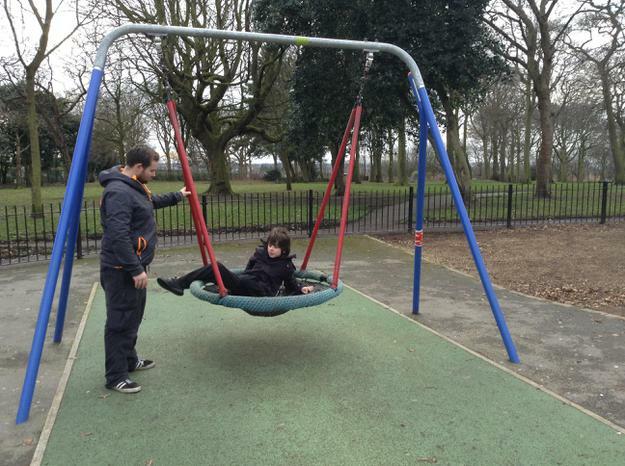 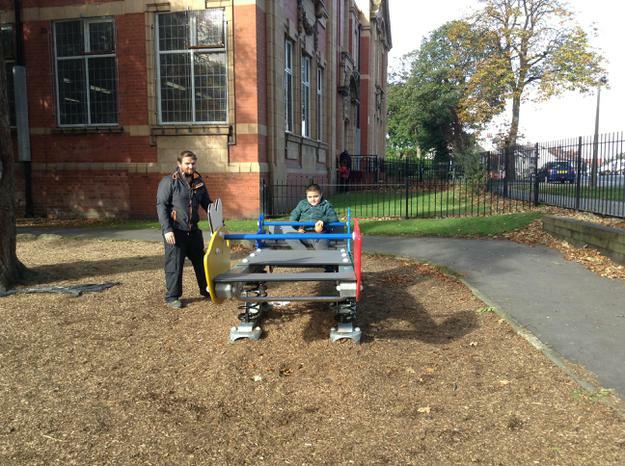 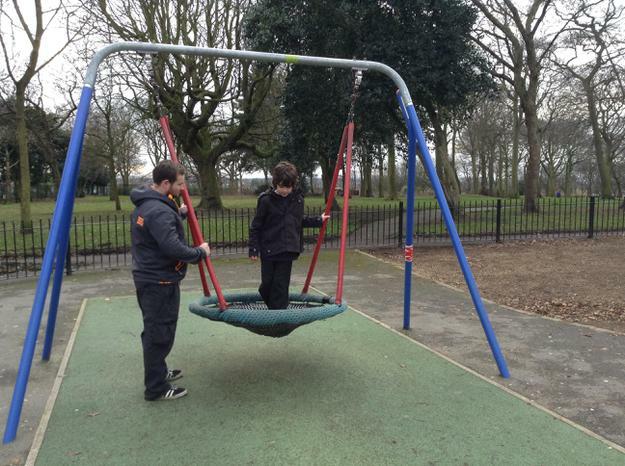 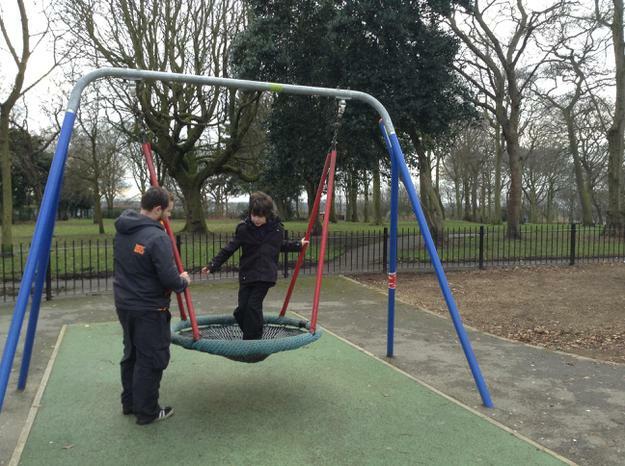 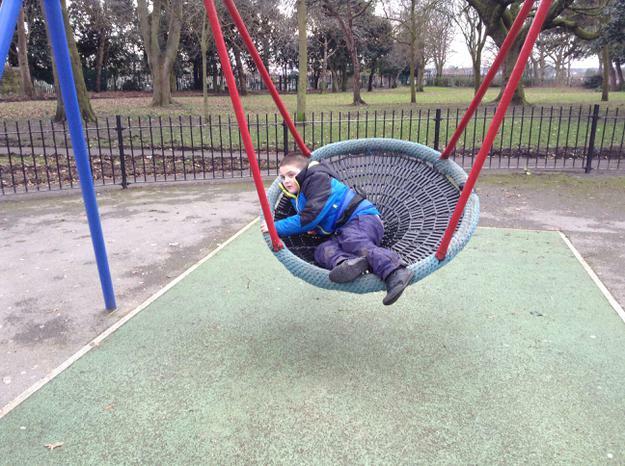 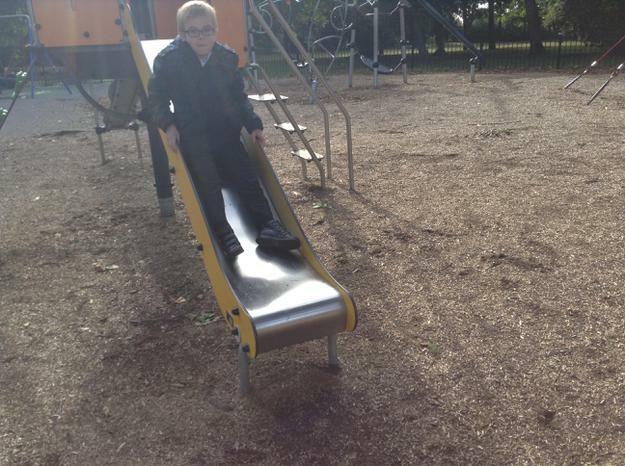 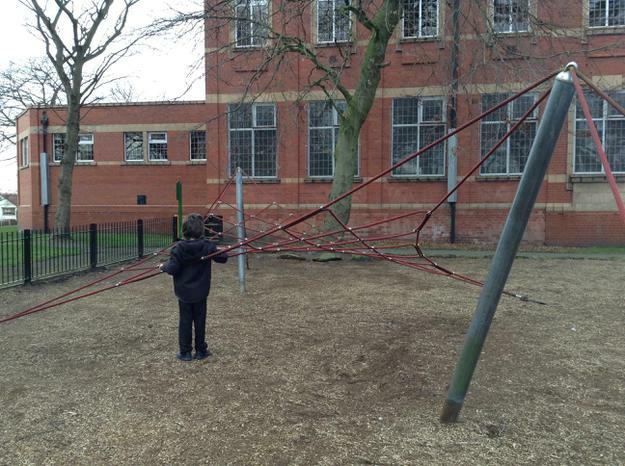 We also enjoyed a trip to the park. 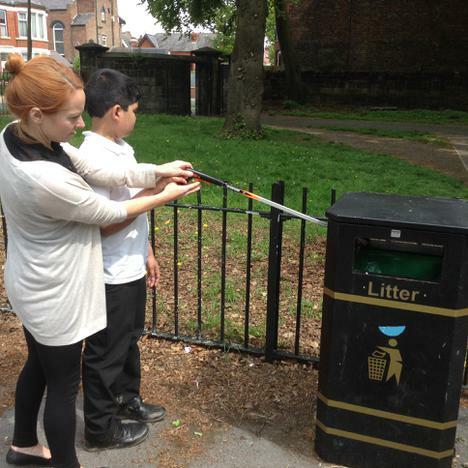 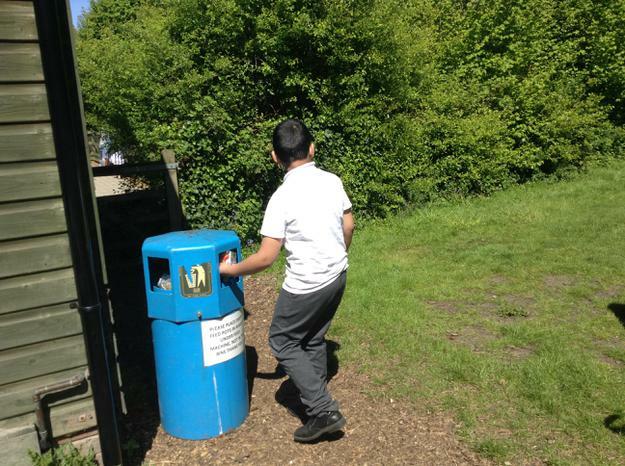 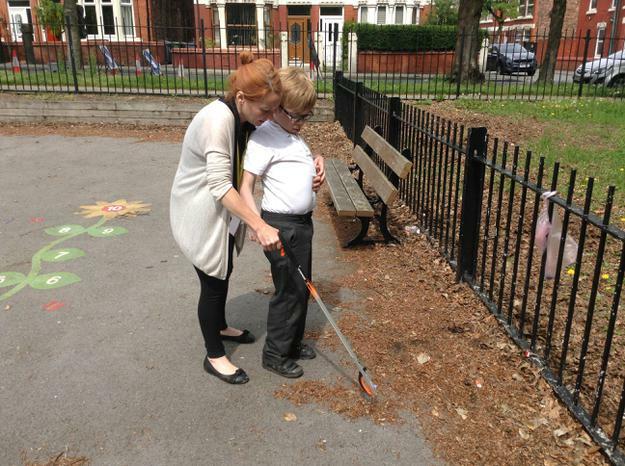 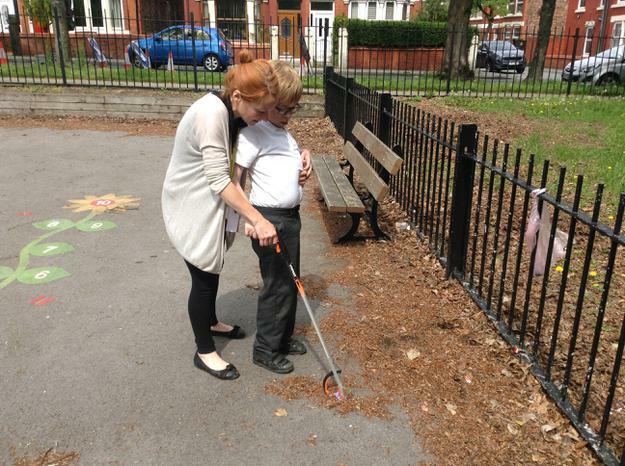 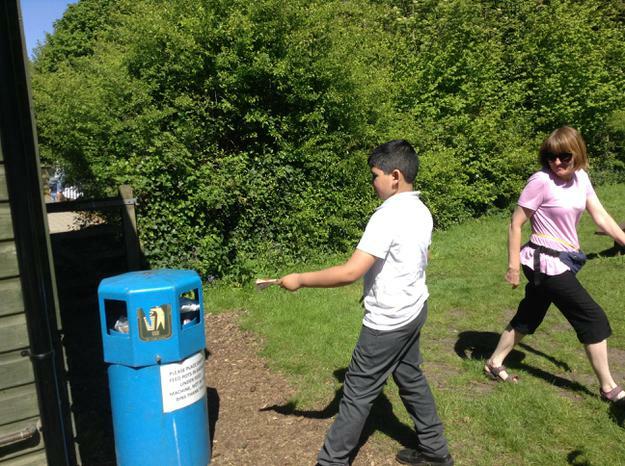 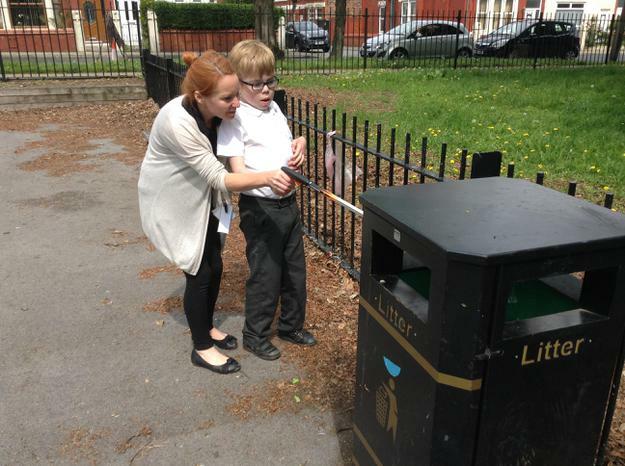 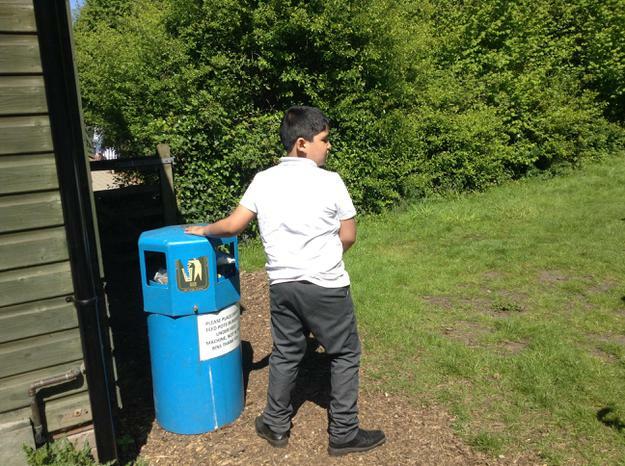 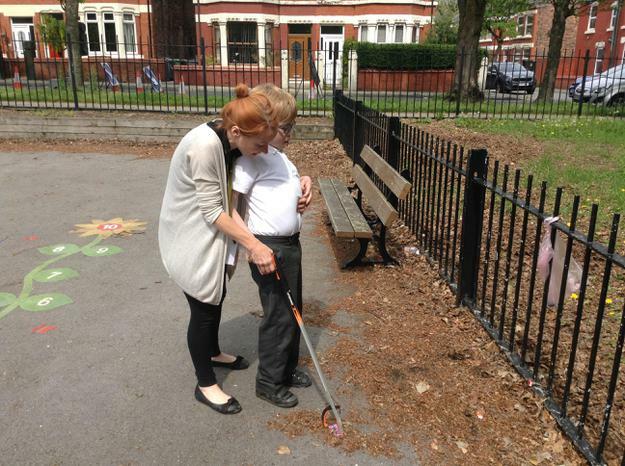 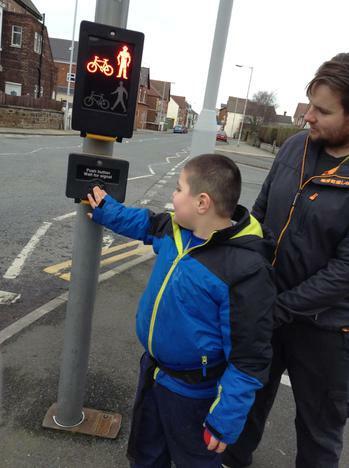 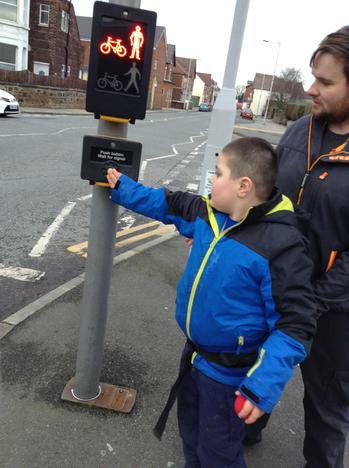 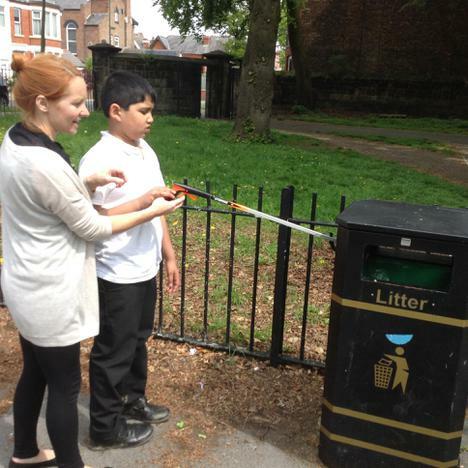 During our visits we have constantly been on the lookout for litter and have been learning how to pick it up and dispose of it safely in the bin to help care for our environment. 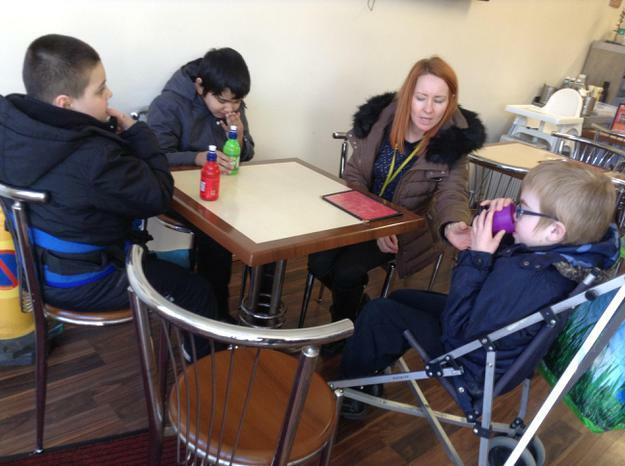 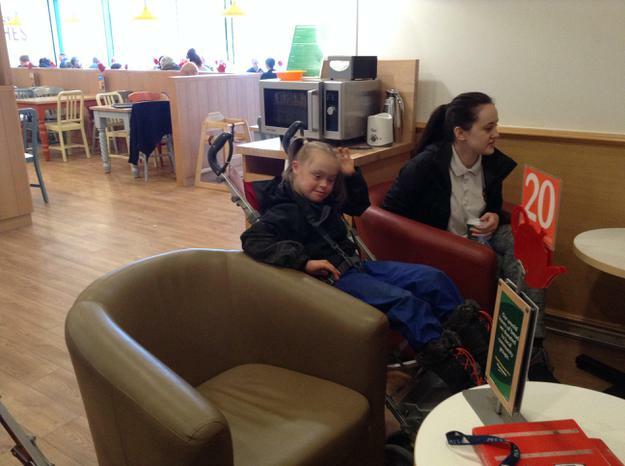 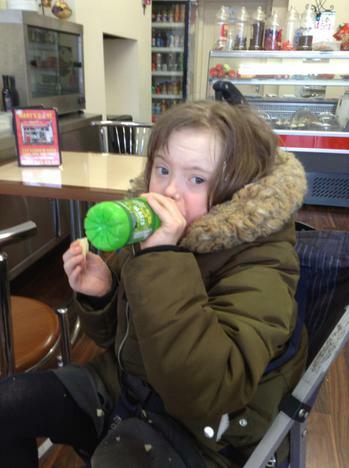 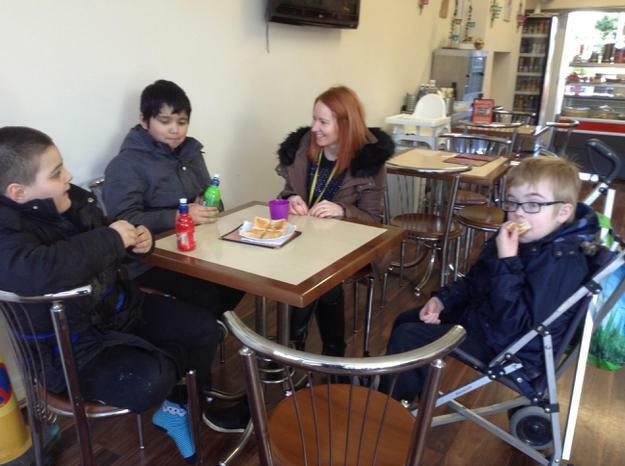 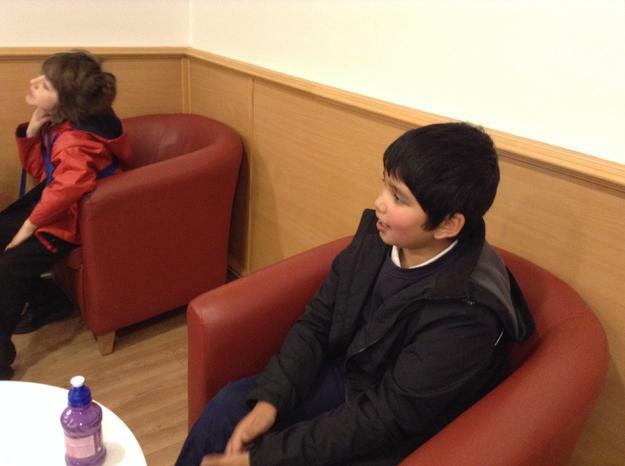 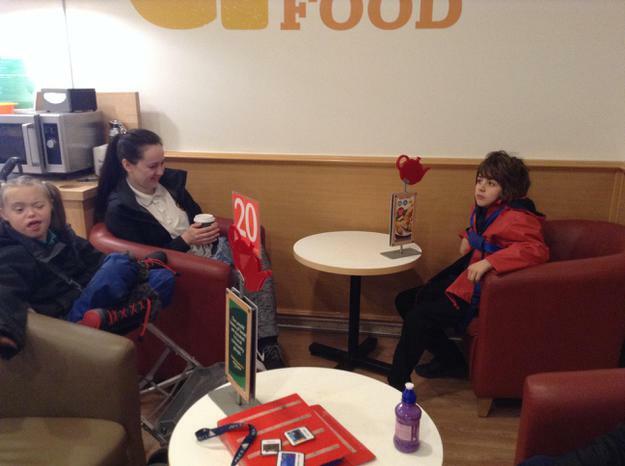 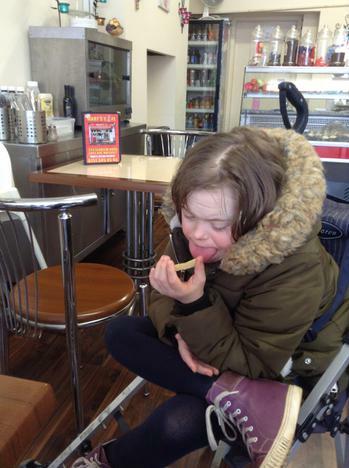 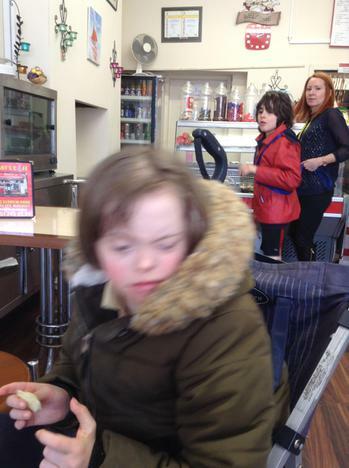 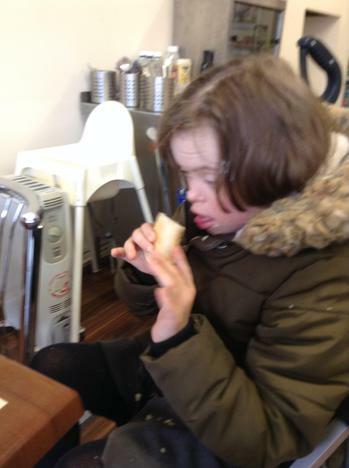 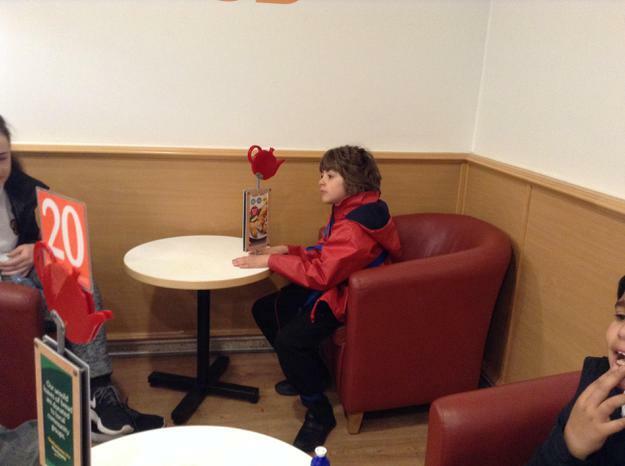 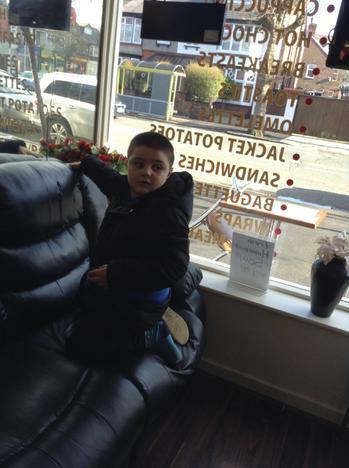 Aqua class enjoyed an educational visit to a local cafe to coincide with the story we have been learning about this term - The Tiger who came to tea. 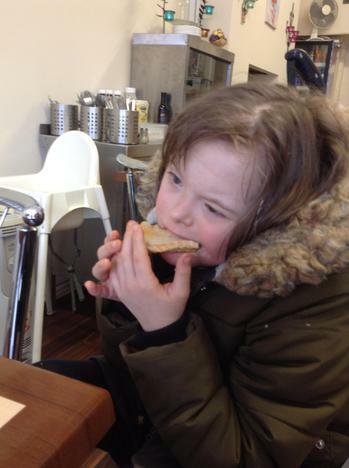 At the end of the story, the little girl Sophie goes to a cafe with her parents as the tiger has eaten all her food! 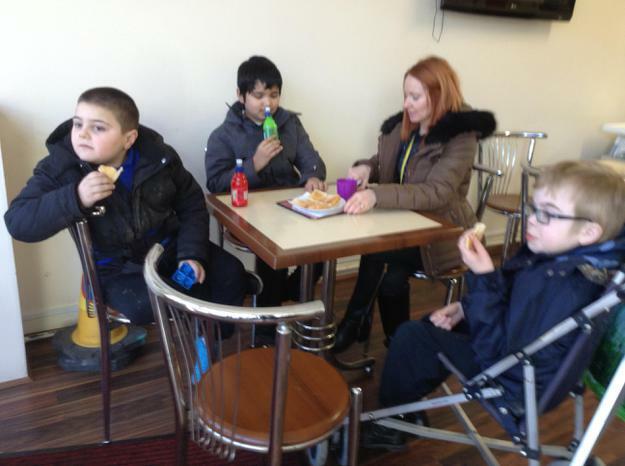 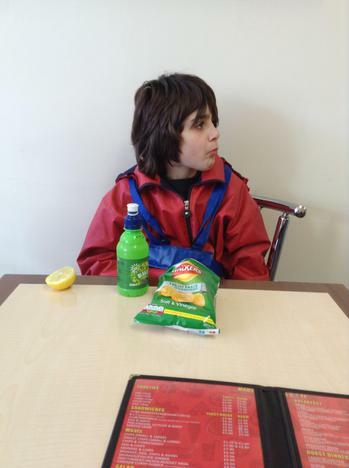 The children enjoyed sitting at the table and eating their food and drink. 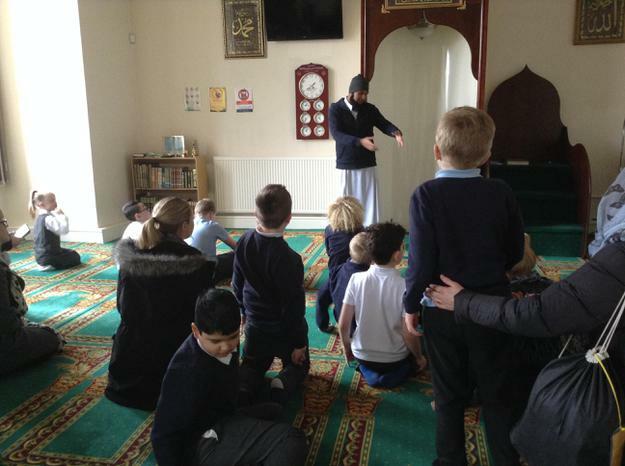 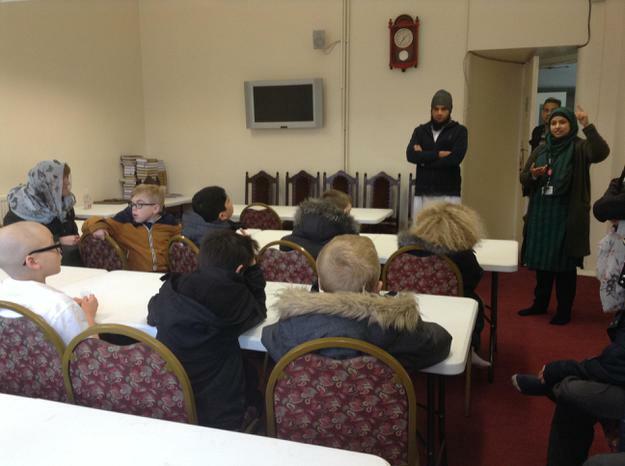 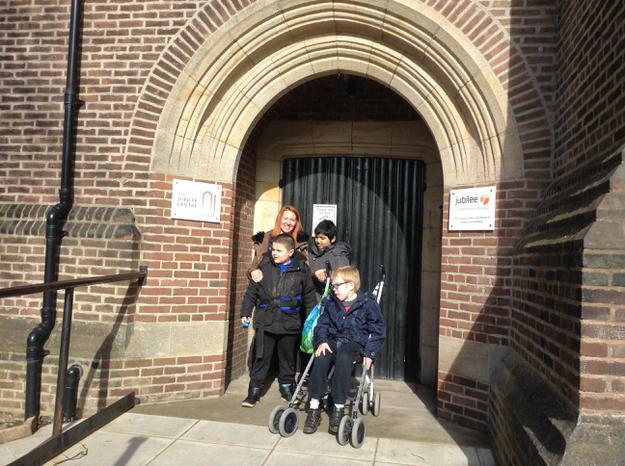 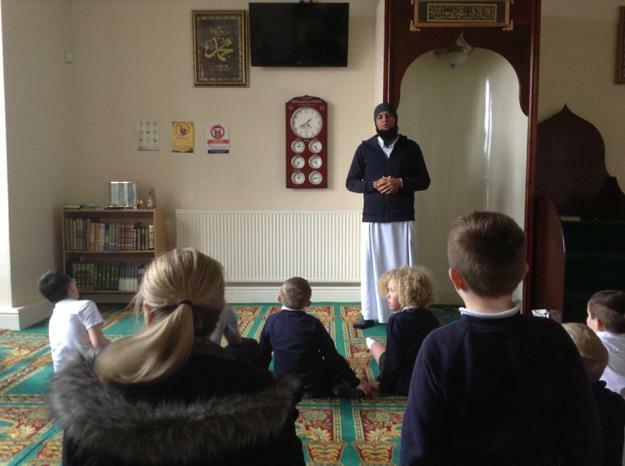 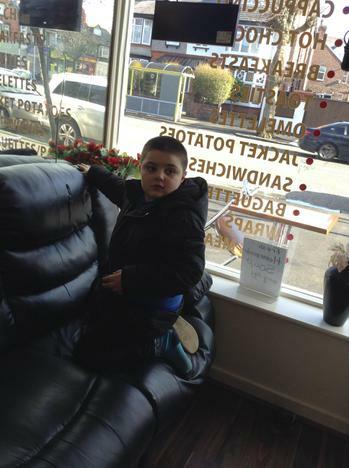 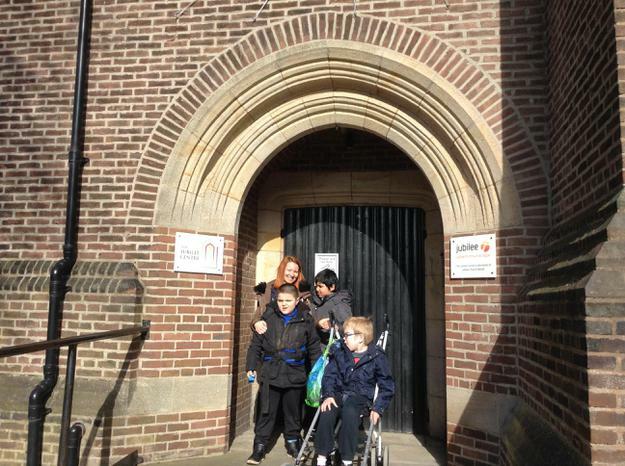 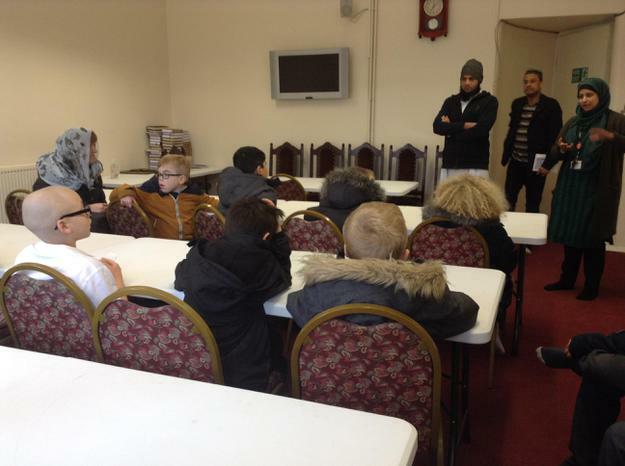 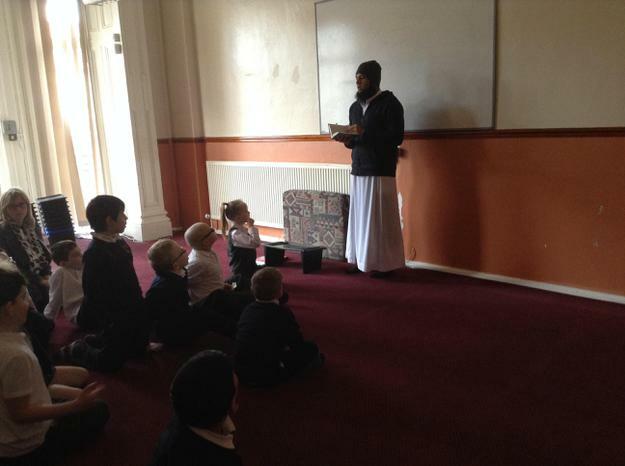 Some of the children in Aqua class also visited the Shah Jalal Mosque in Birkenhead with Purple class to link with our topic on Islam. 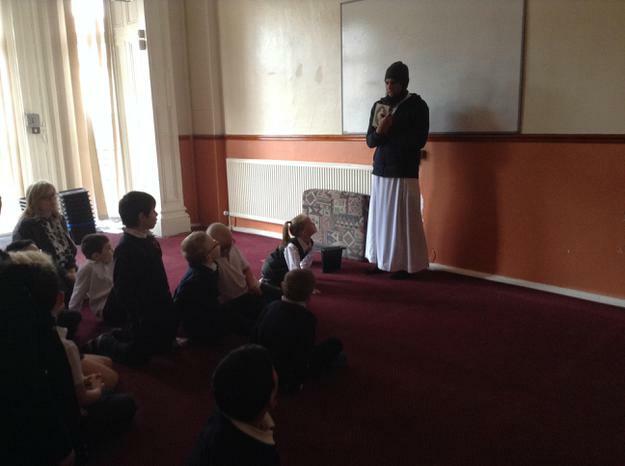 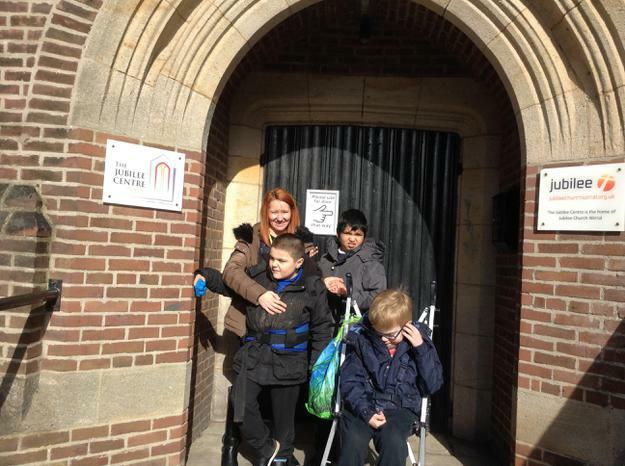 We explored the Mosque and learnt about how Muslims worship. 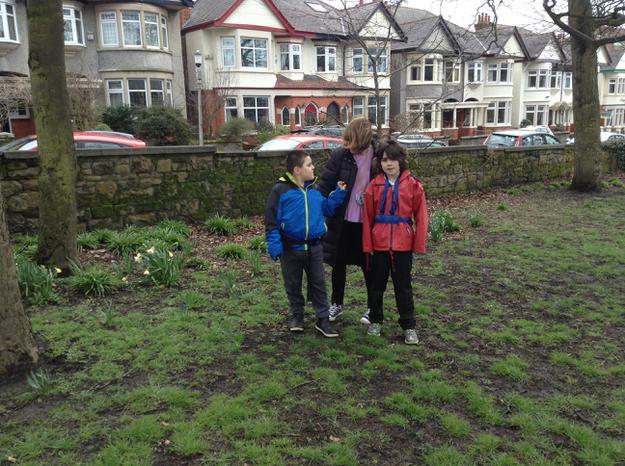 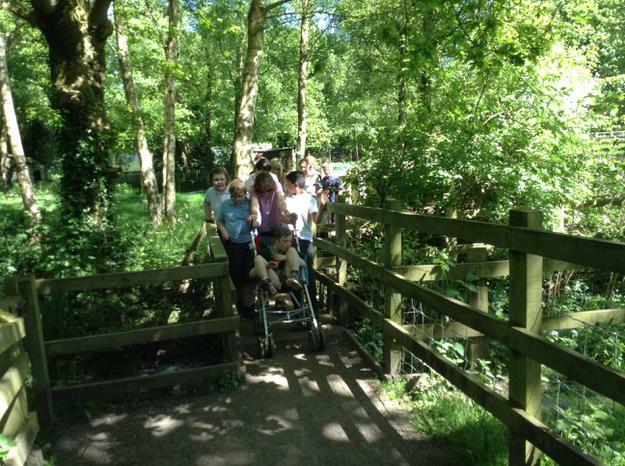 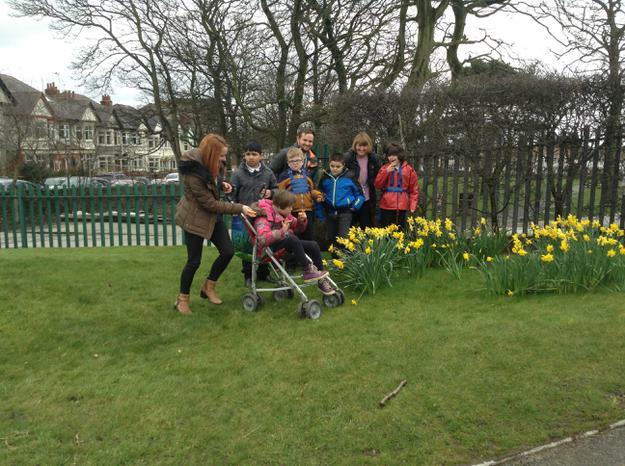 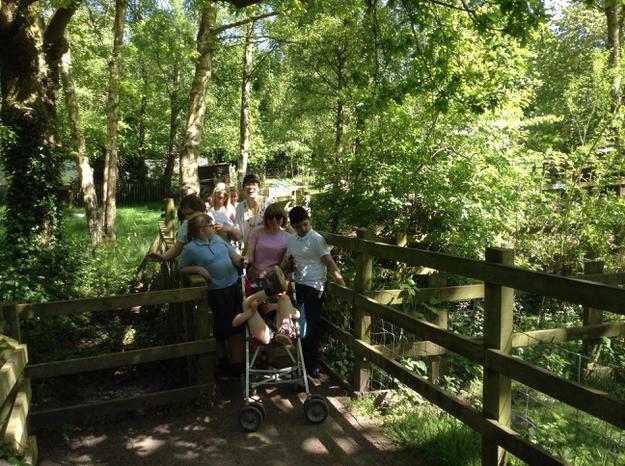 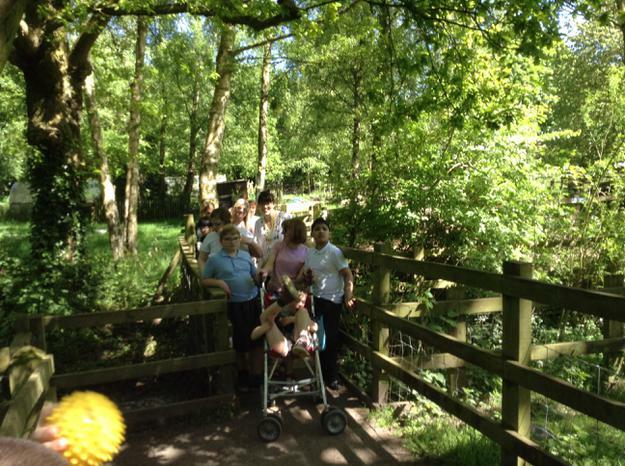 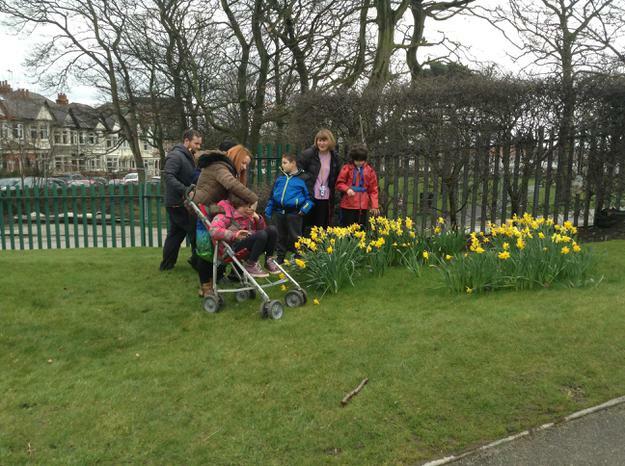 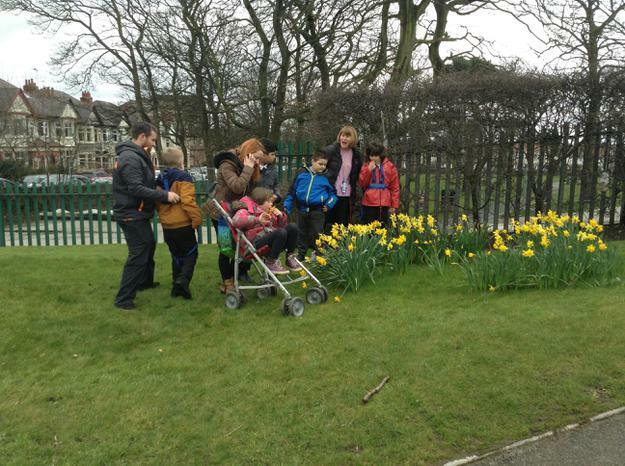 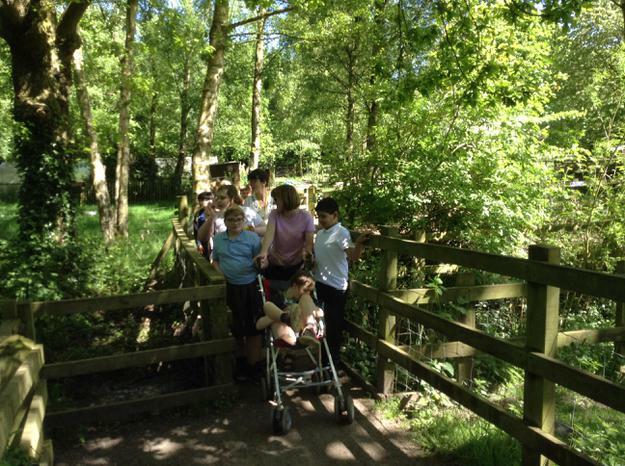 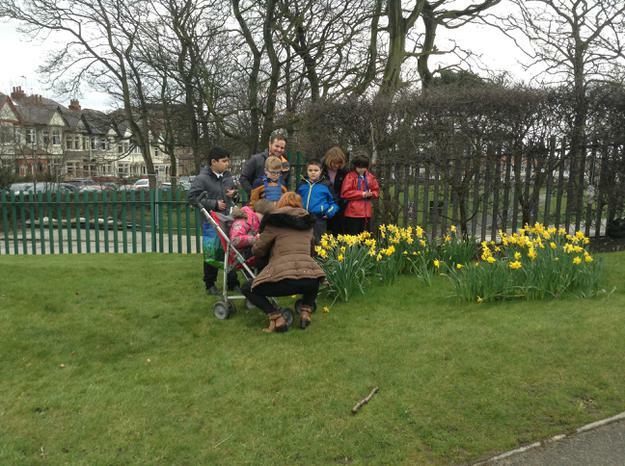 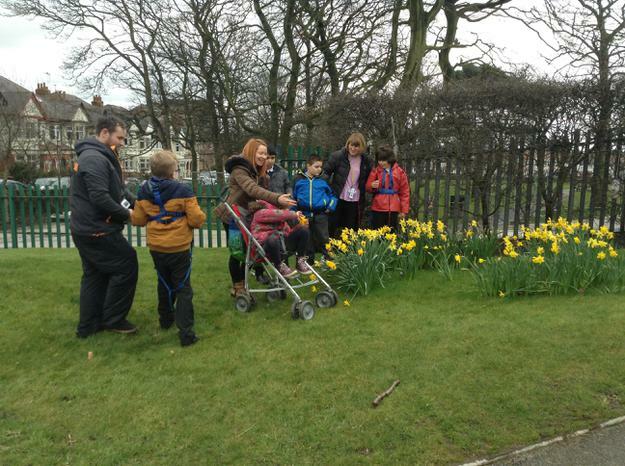 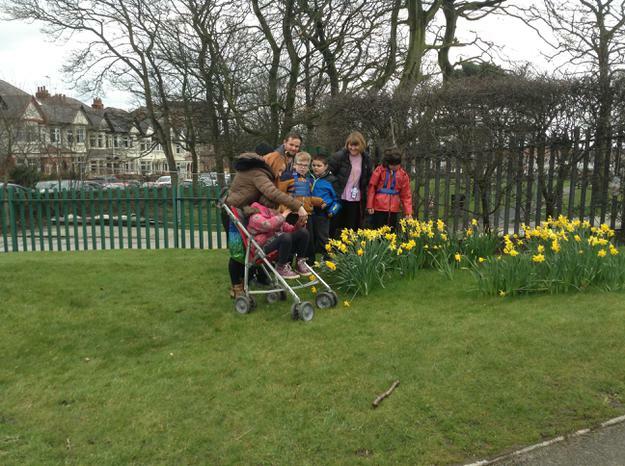 We also enjoyed a Spring walk to link with our RE topic on Christianity and Easter time. 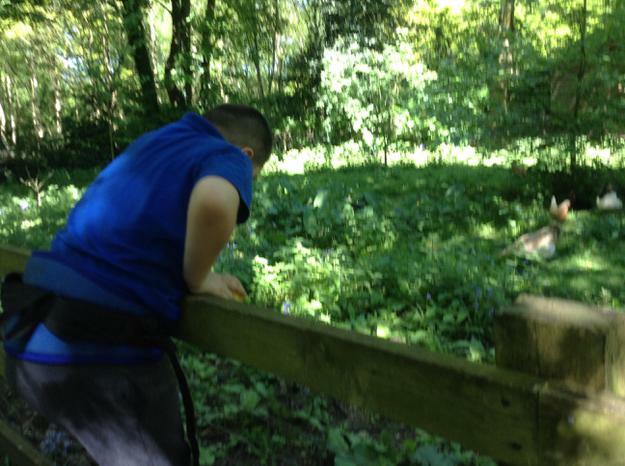 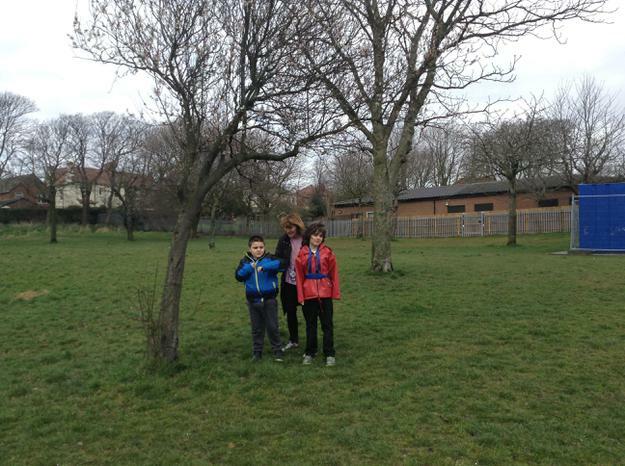 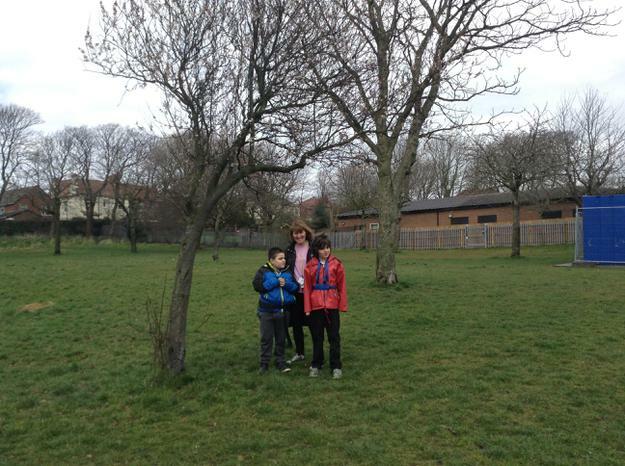 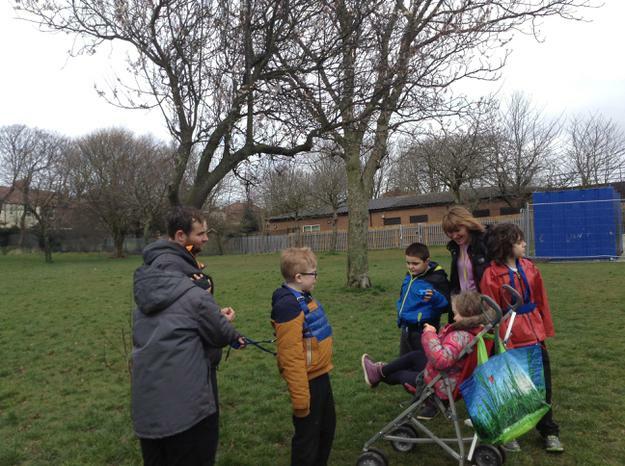 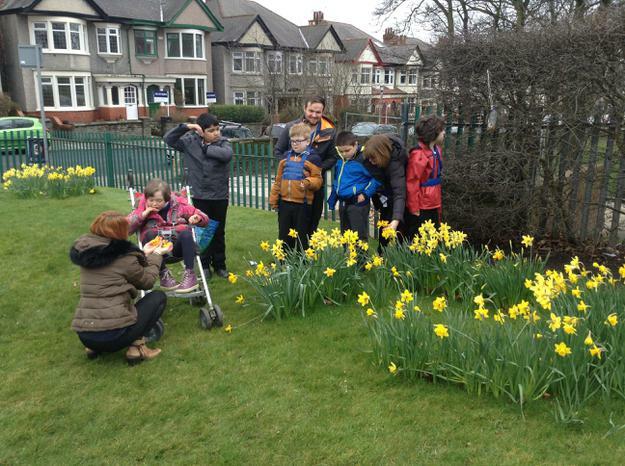 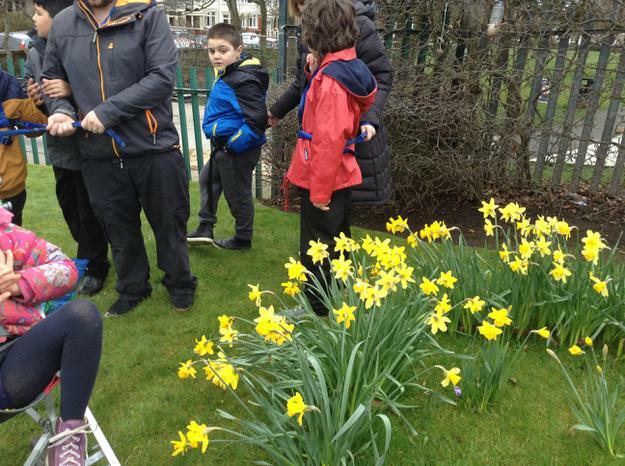 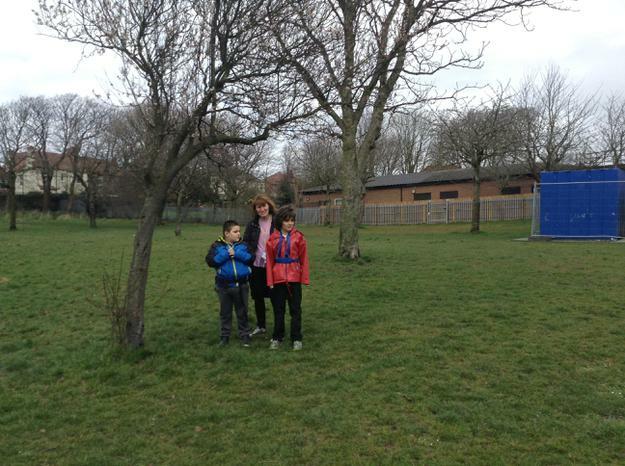 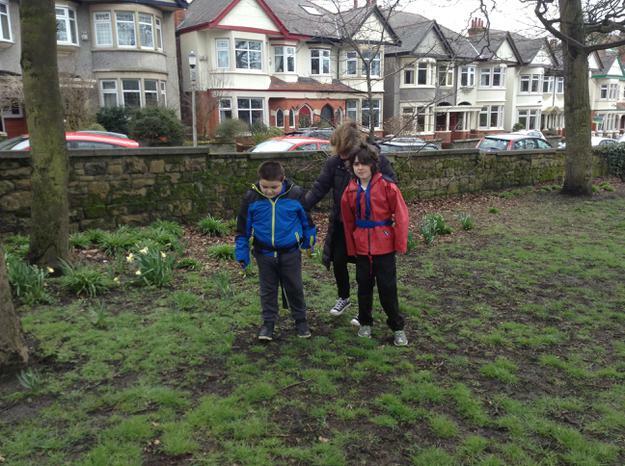 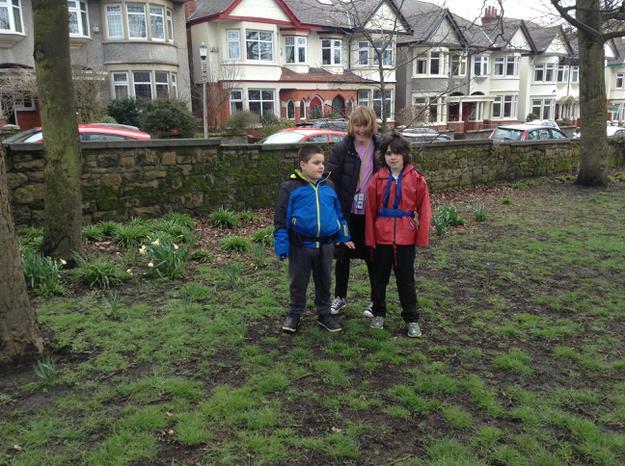 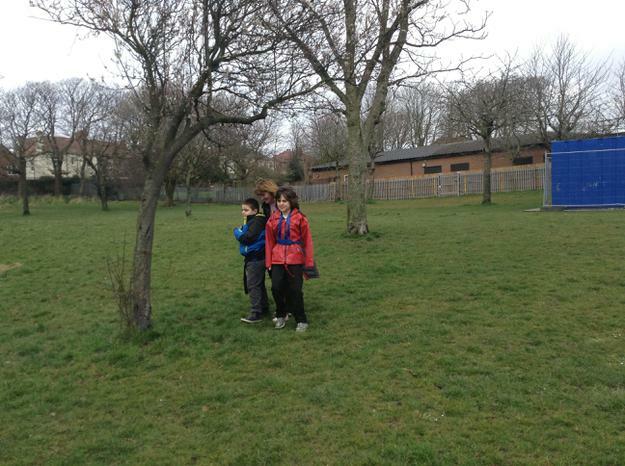 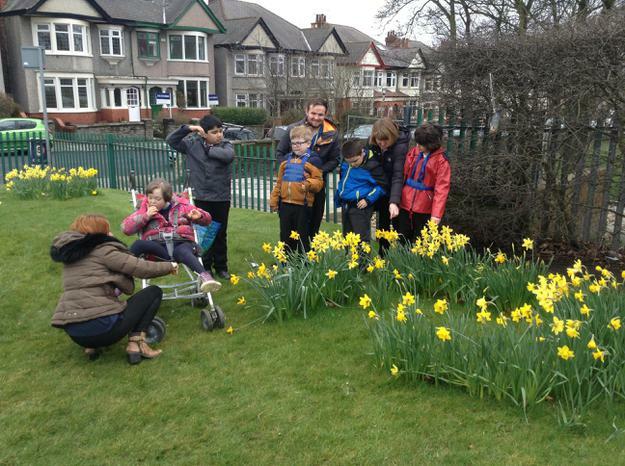 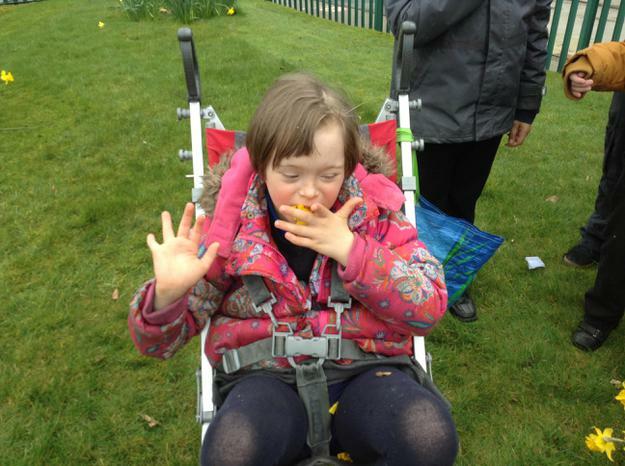 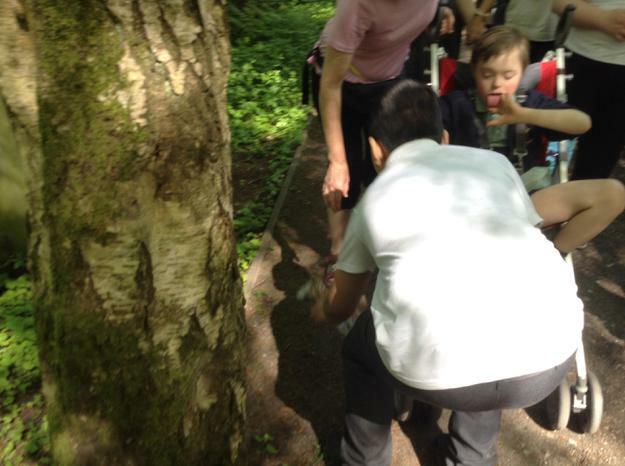 The children enjoyed looking for signs of growth and new life - we found daffodils, flower buds and trees. 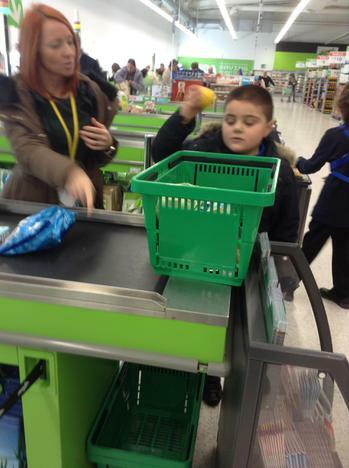 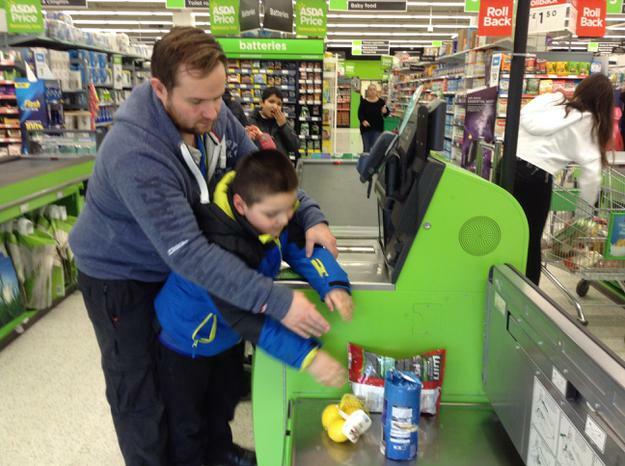 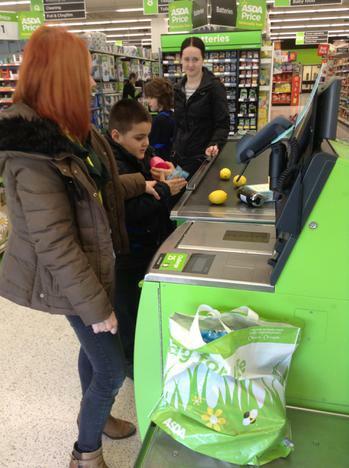 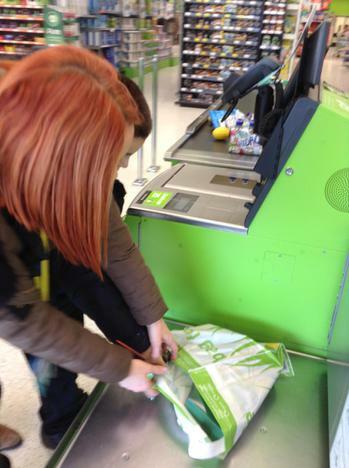 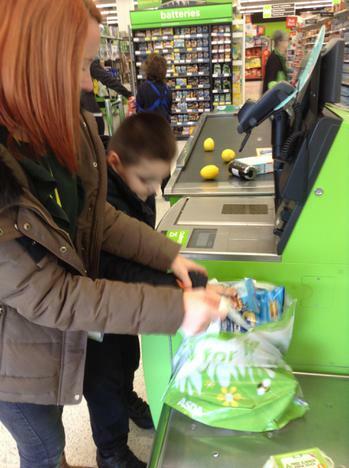 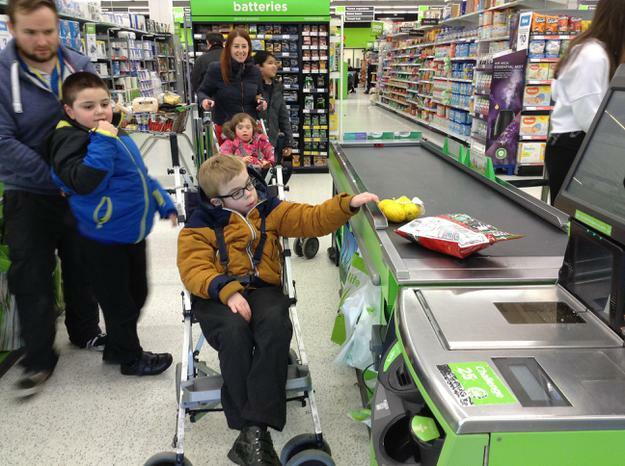 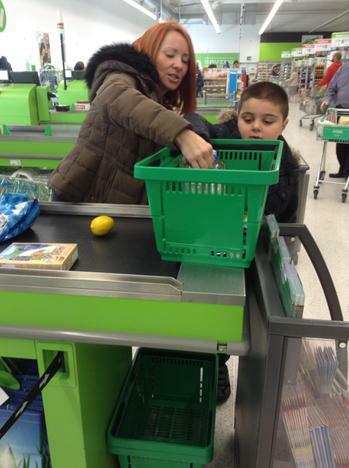 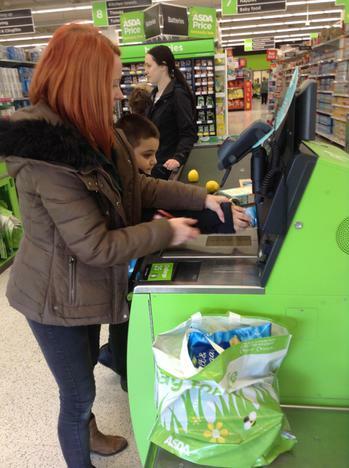 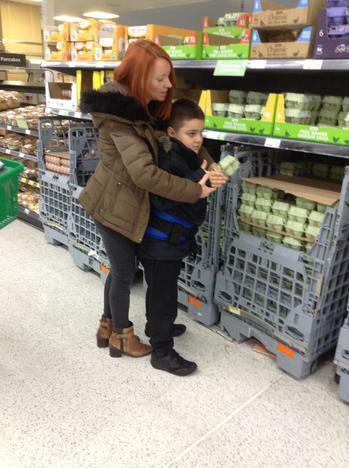 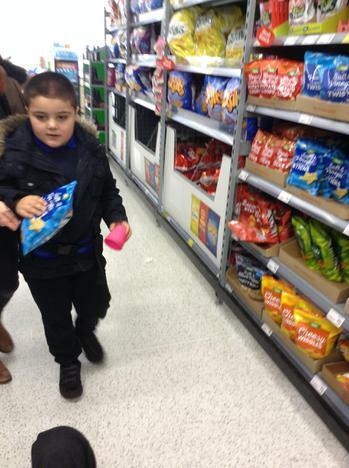 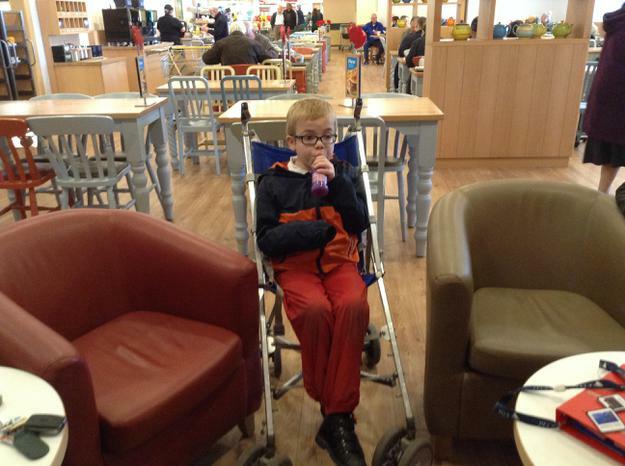 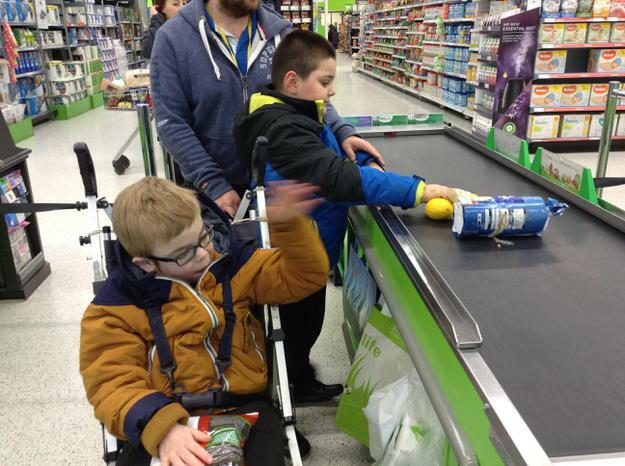 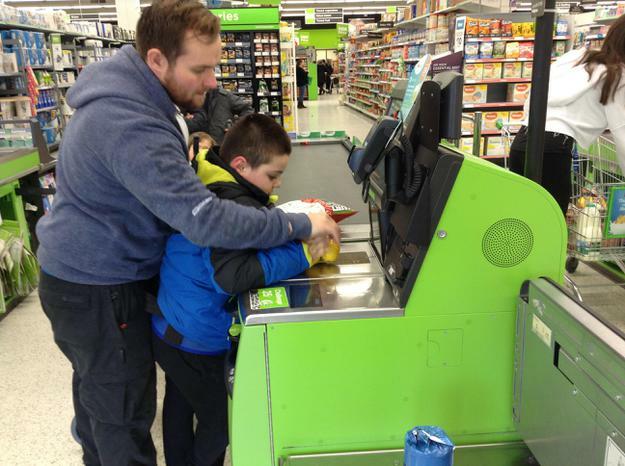 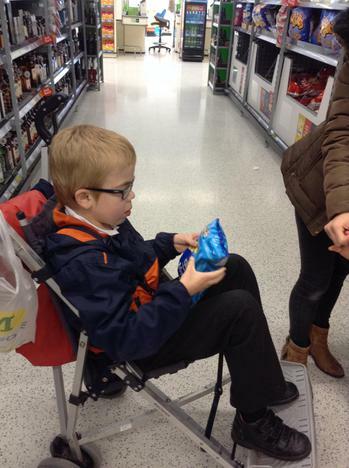 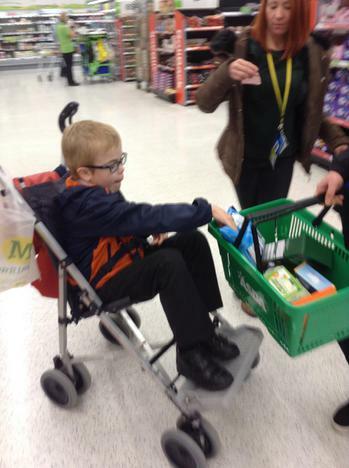 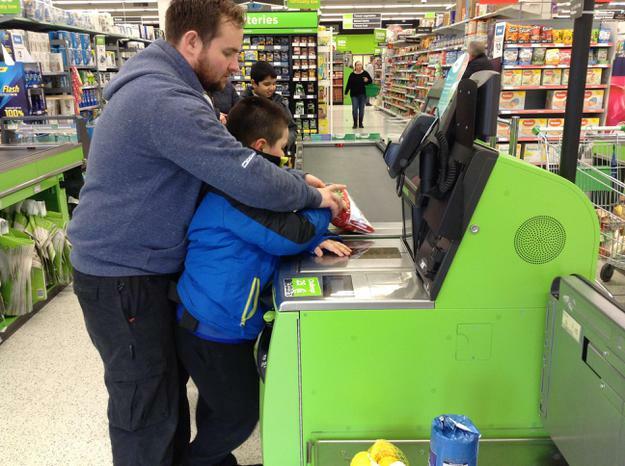 Aqua class have enjoyed going to the supermarket every week to buy the supplies we need for our snack. 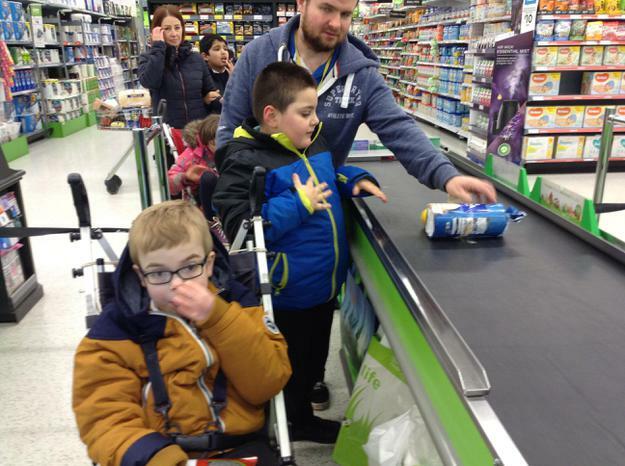 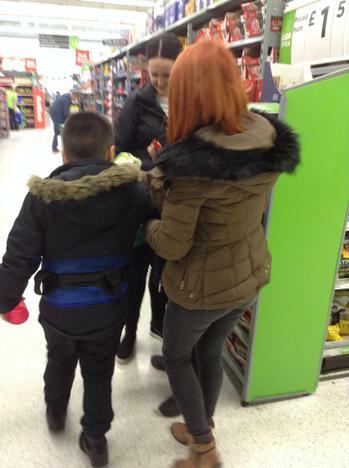 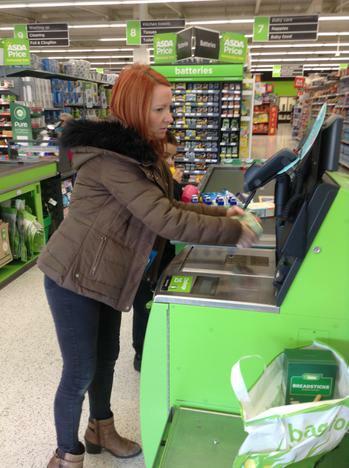 Before we go, we make a list of what we need to buy and we enjoy finding the different items in the supermarket. 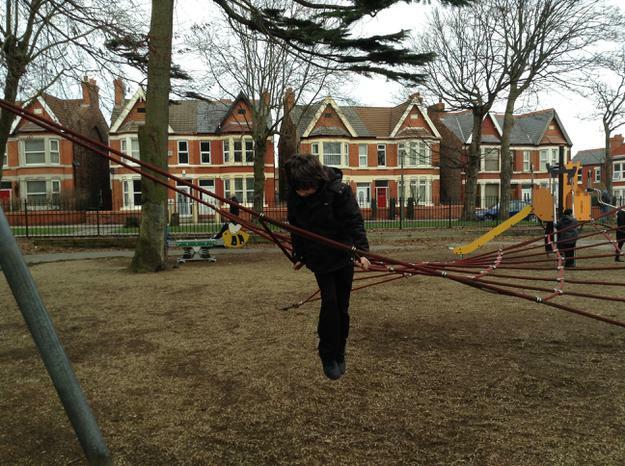 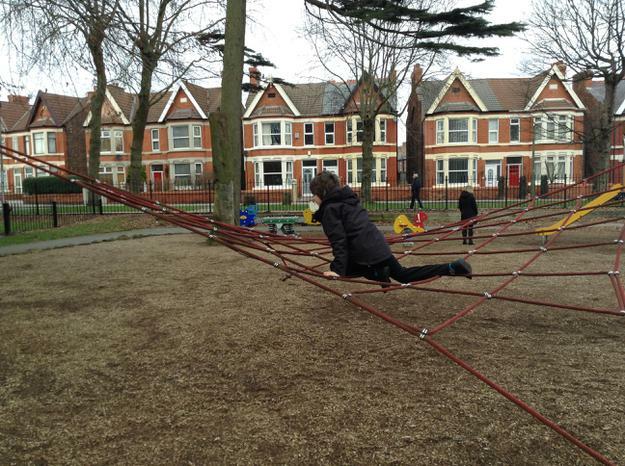 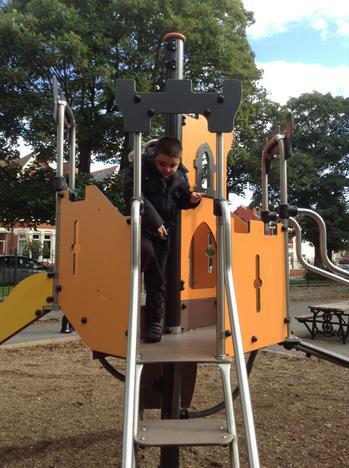 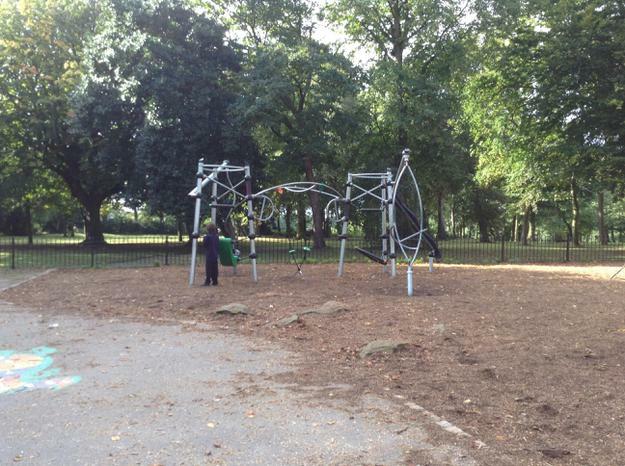 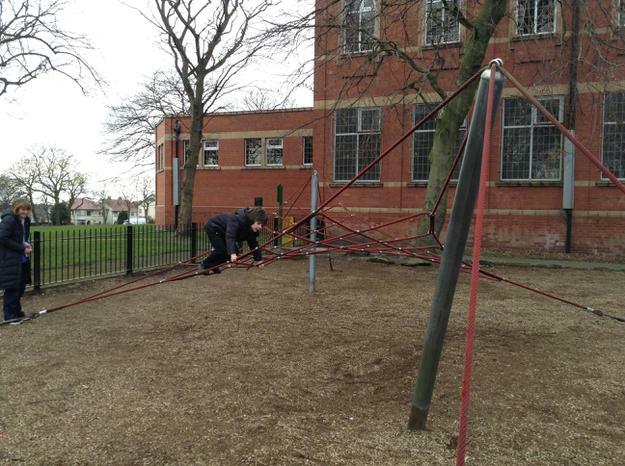 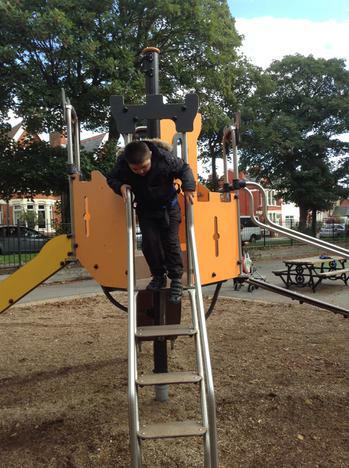 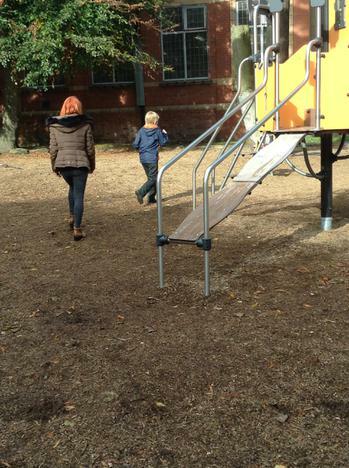 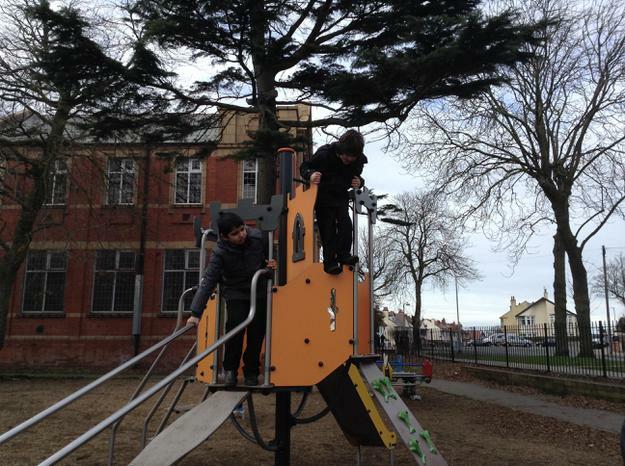 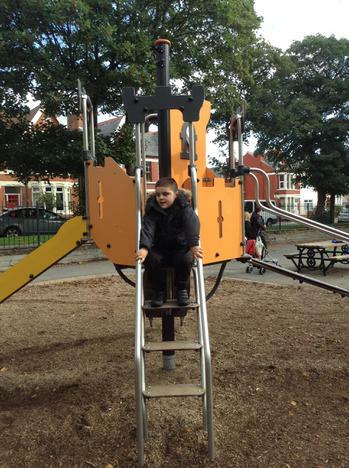 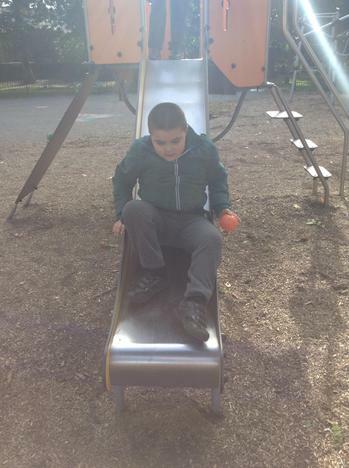 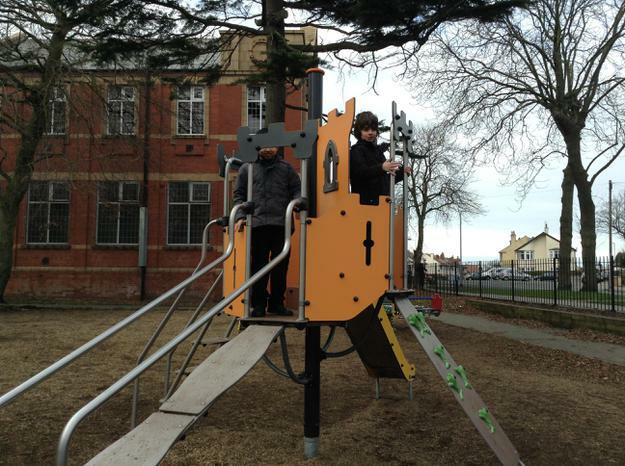 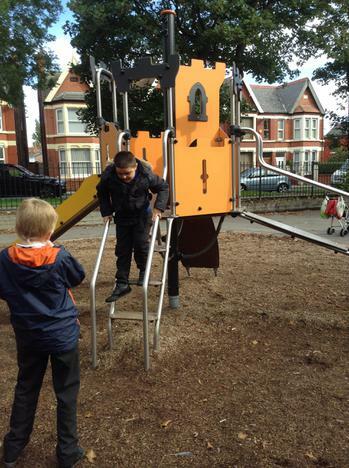 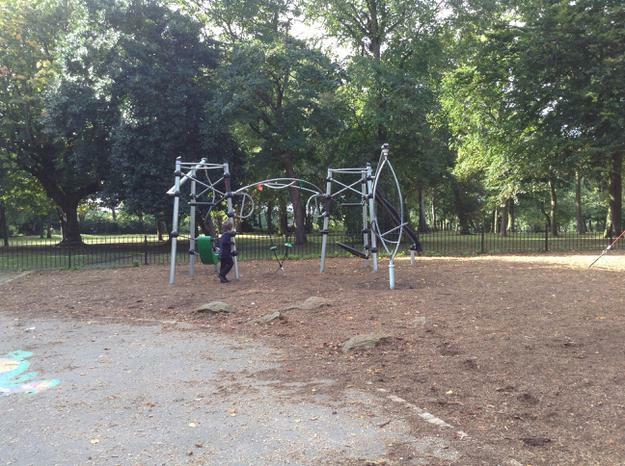 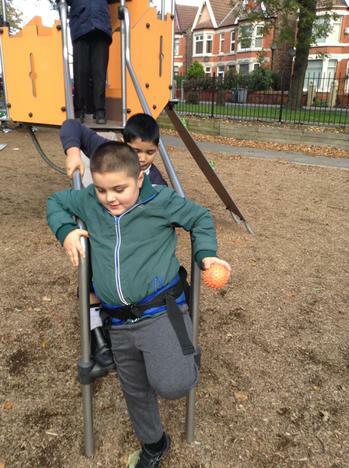 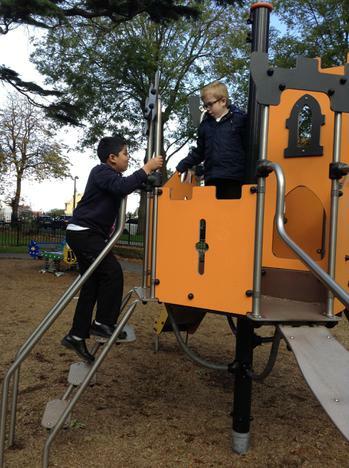 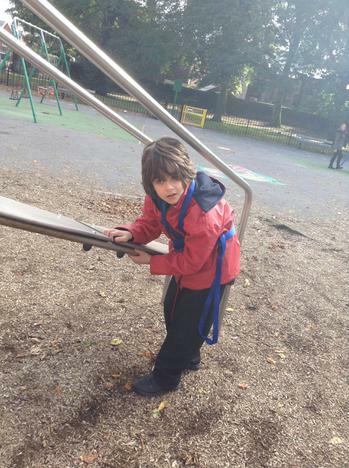 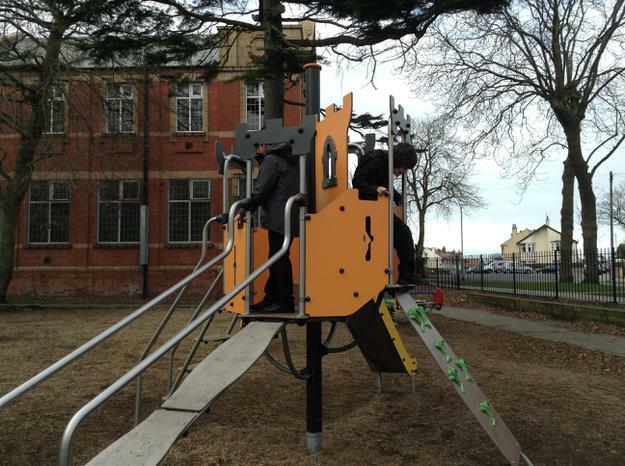 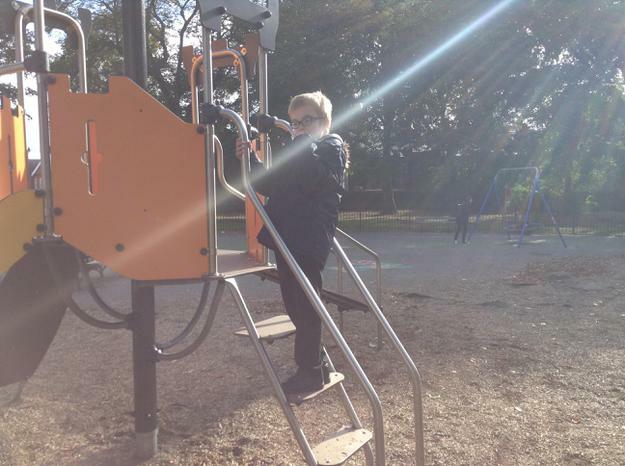 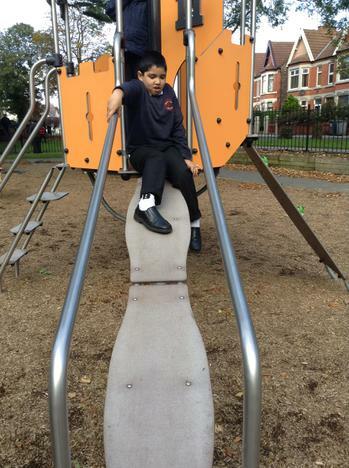 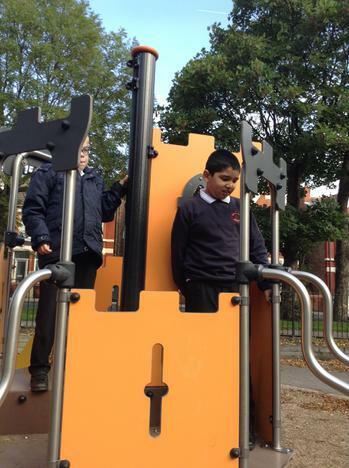 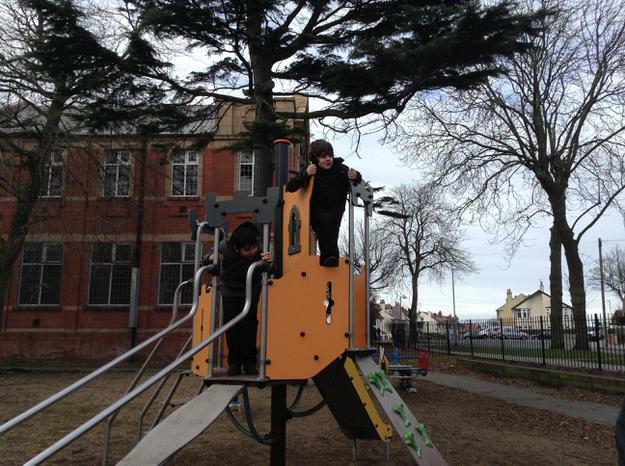 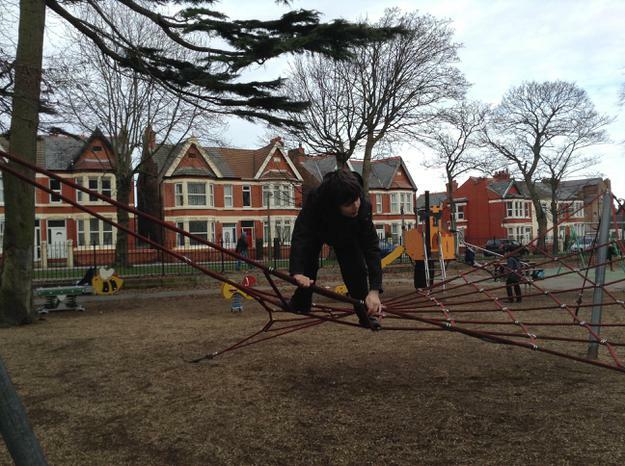 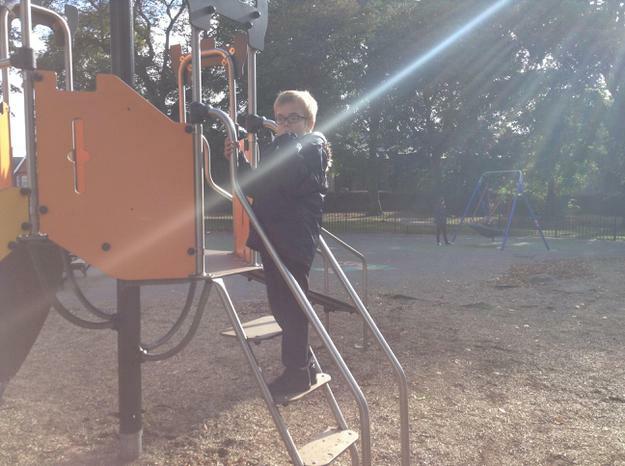 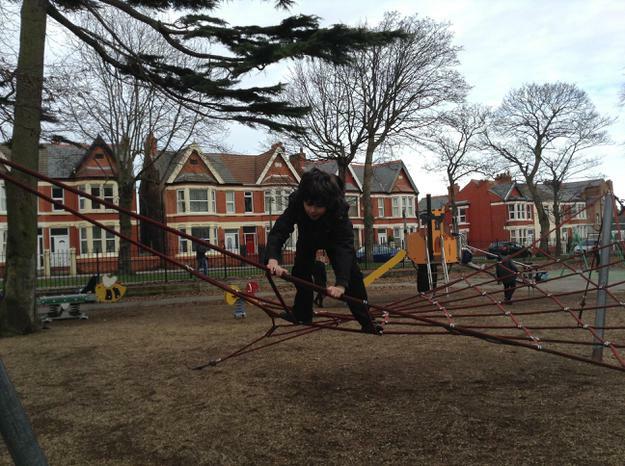 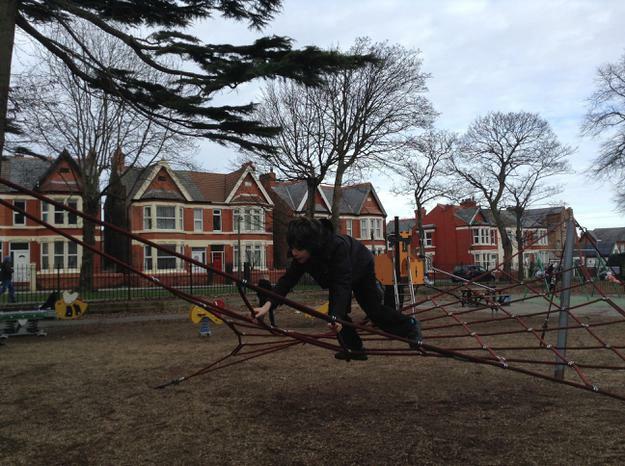 If the weather is nice, we also enjoy going to the park afterwards where we practice our gross motor skills using the playground equipment to run, jump and climb on. 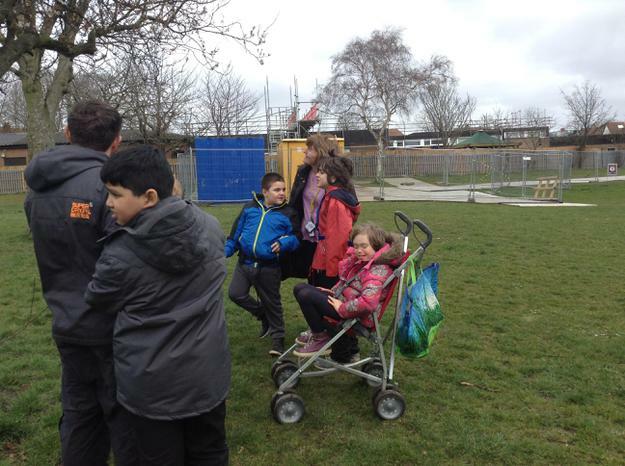 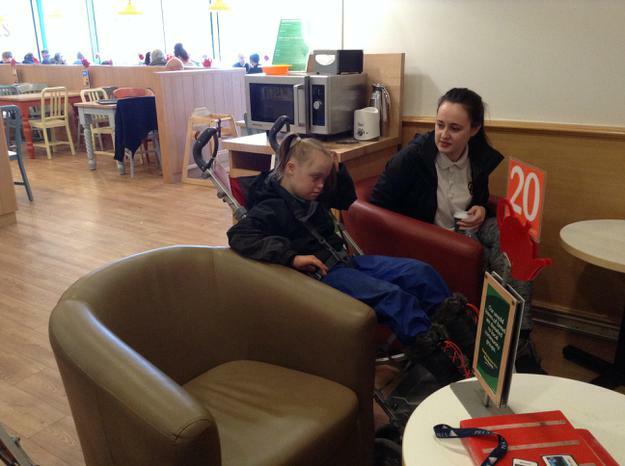 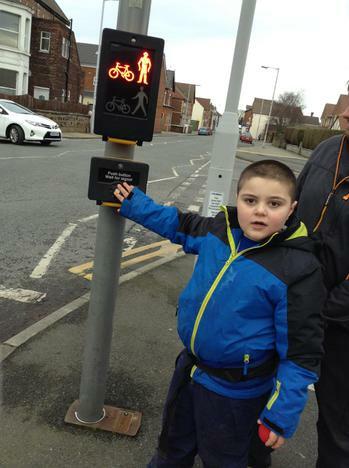 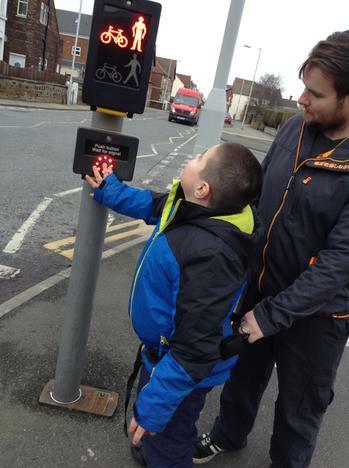 We have lots of fun being out and about! 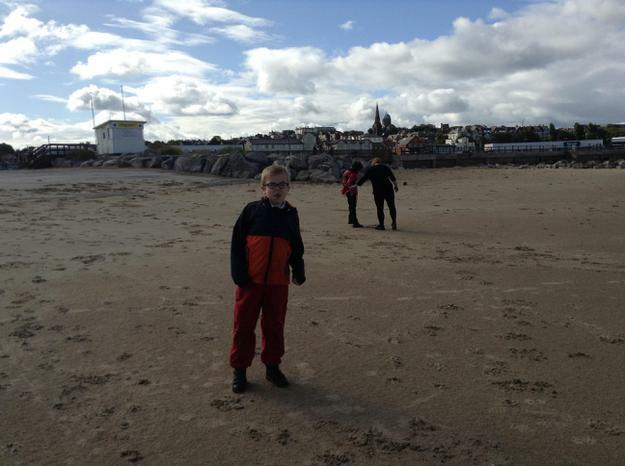 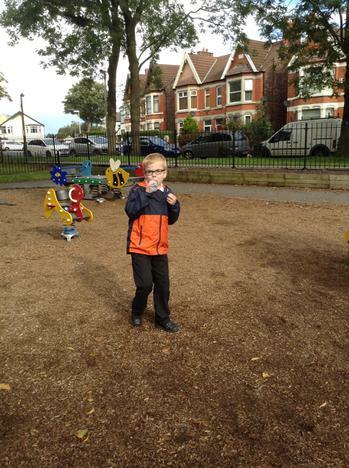 Aqua class enjoyed a trip to the seaside! 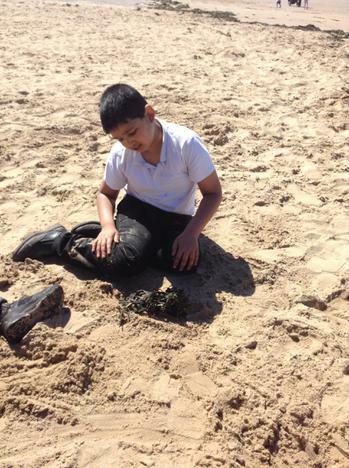 It was really nice to experience the things we have been learning about in school, such as the sand, seaweed, shells and water. 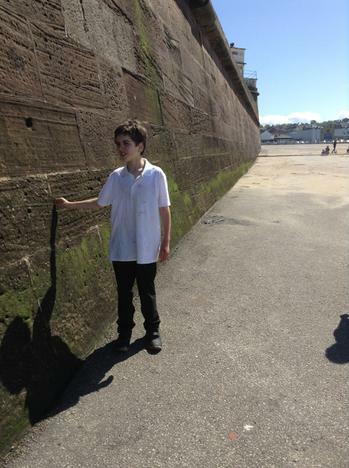 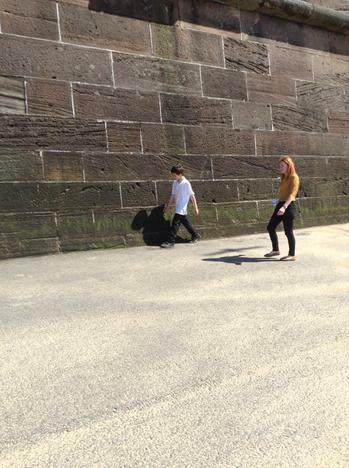 We also listened to the seagulls. 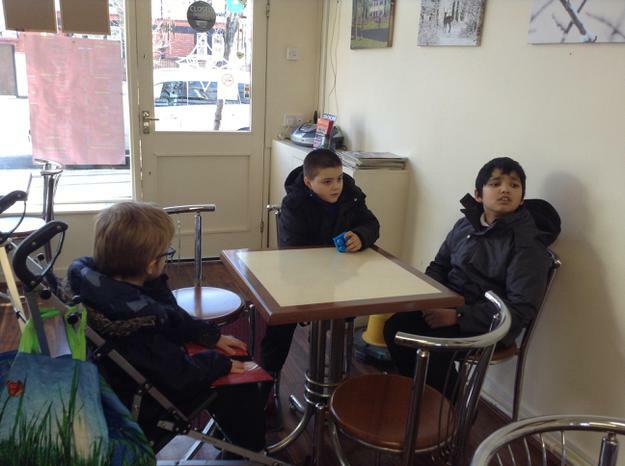 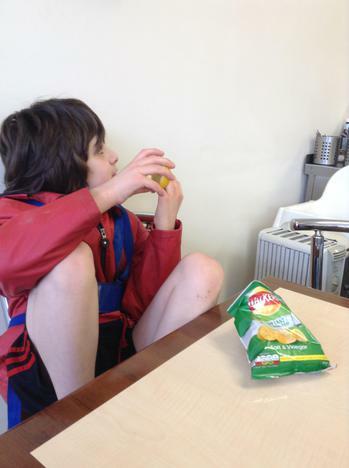 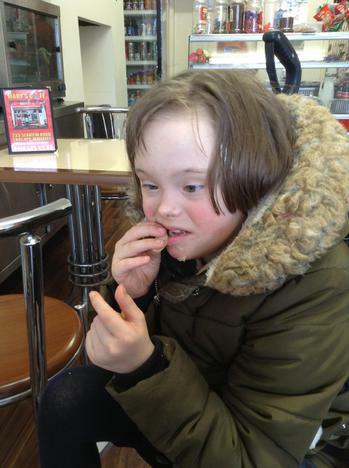 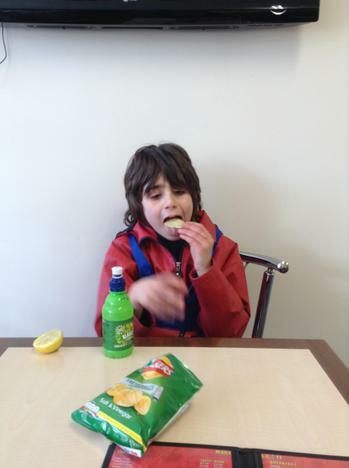 We enjoyed eating our snack in the café.